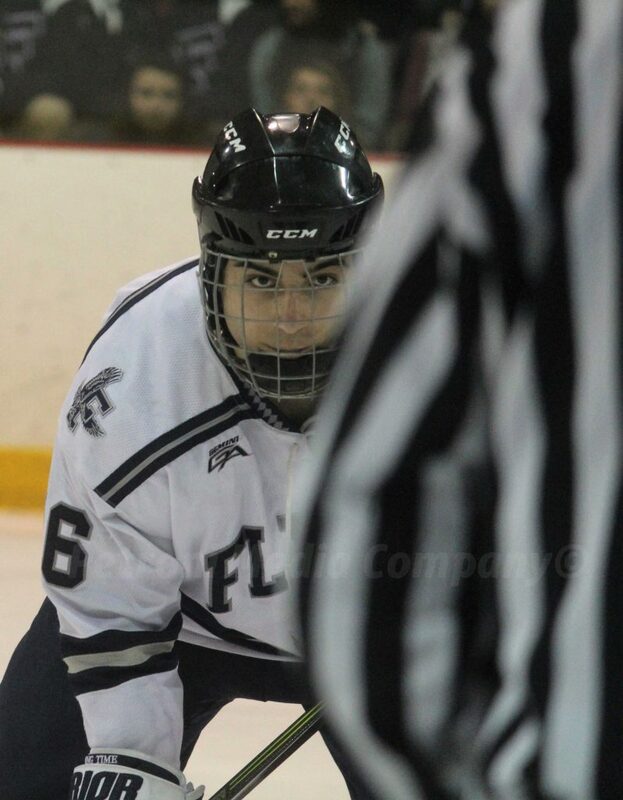 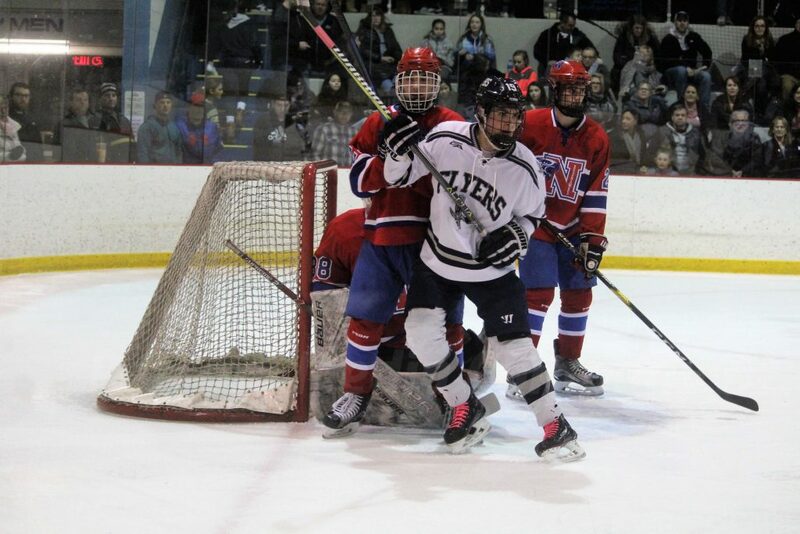 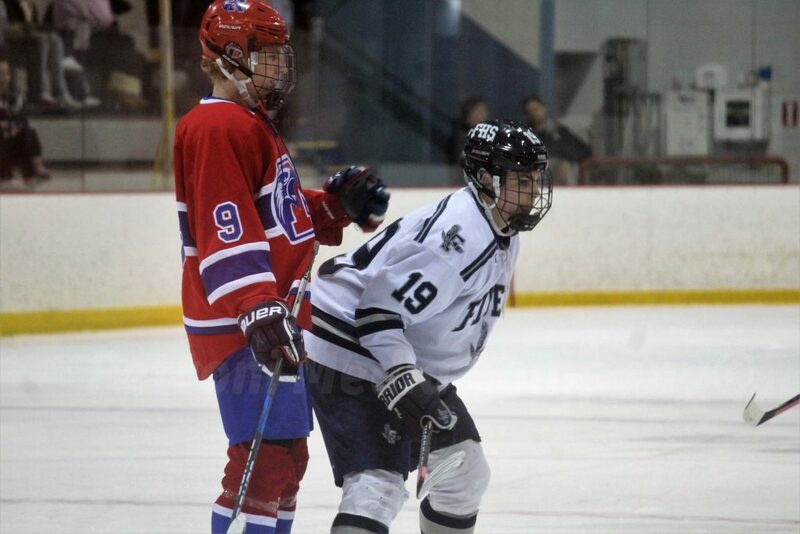 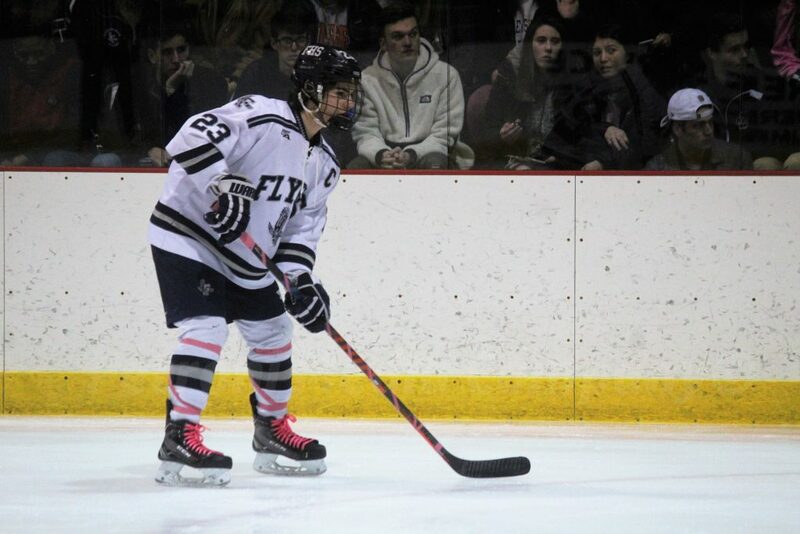 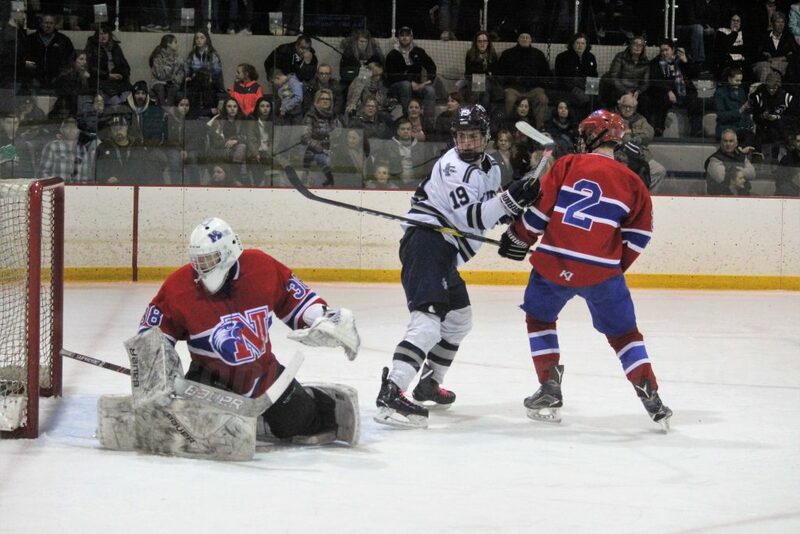 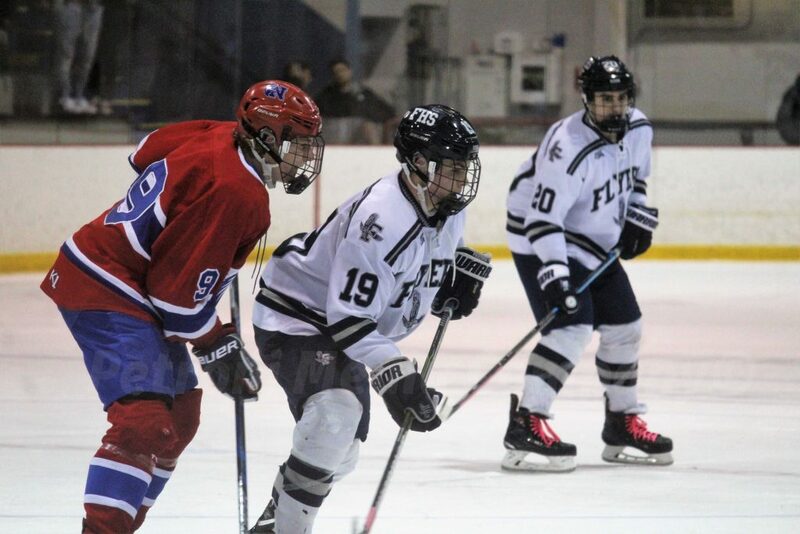 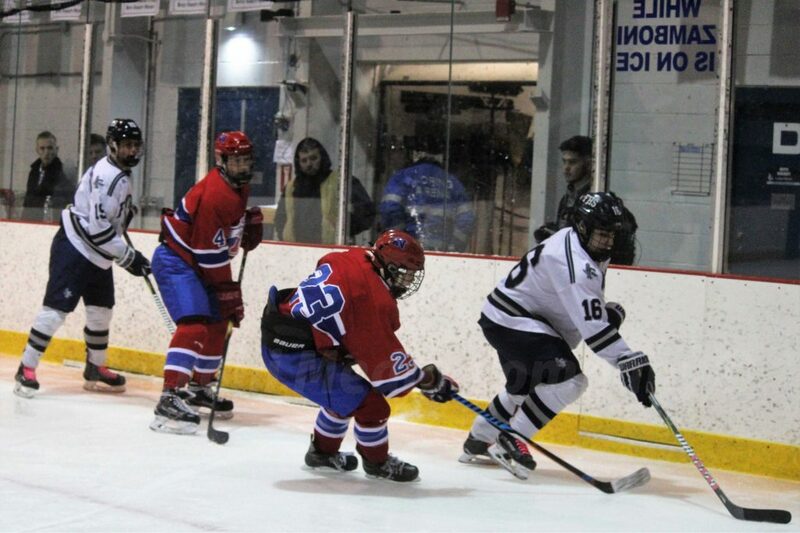 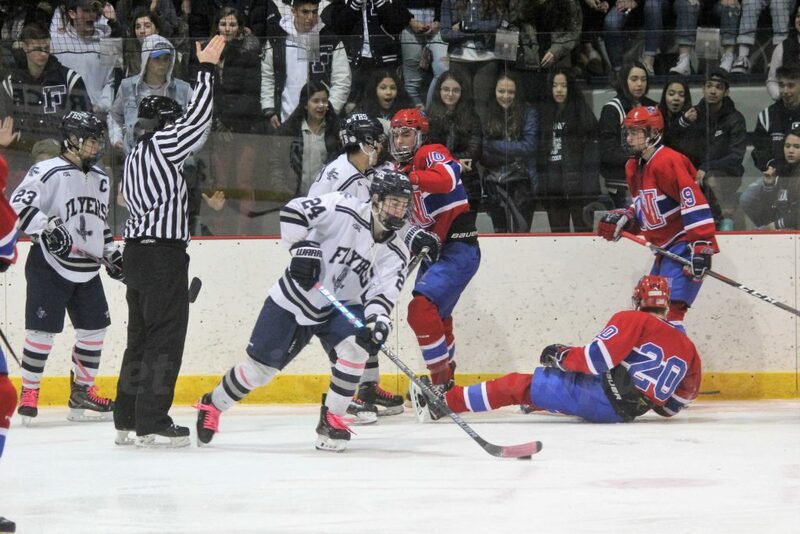 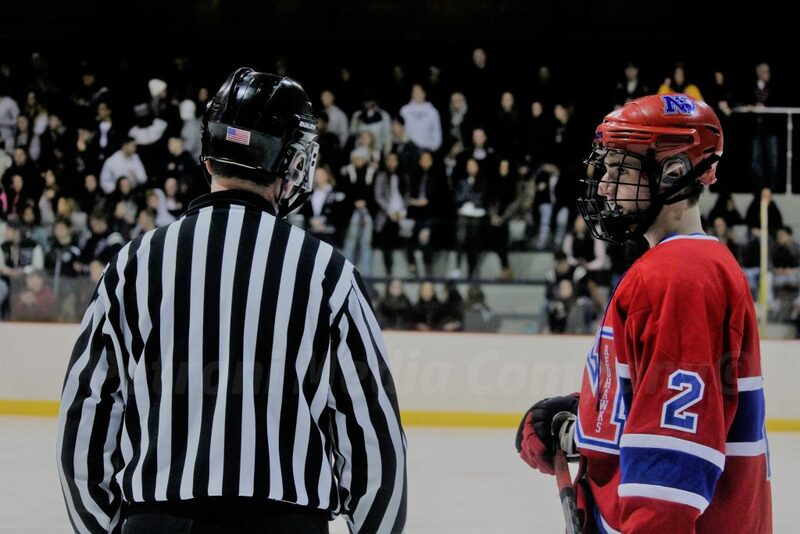 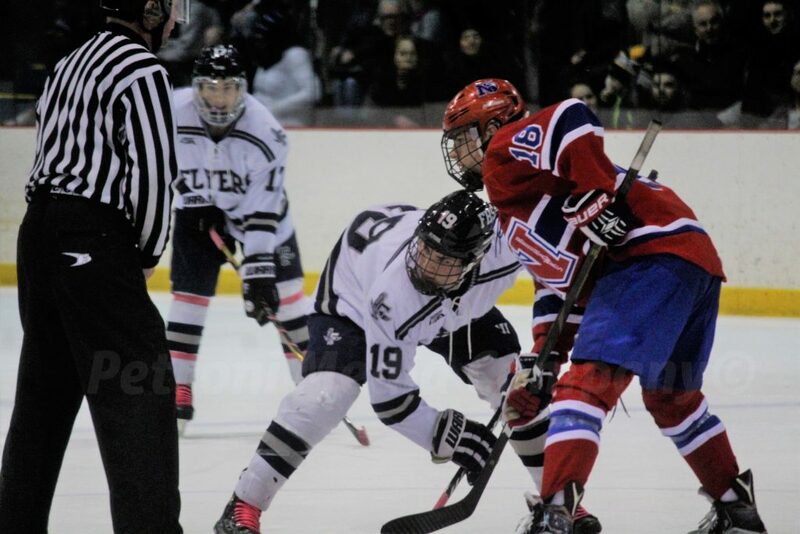 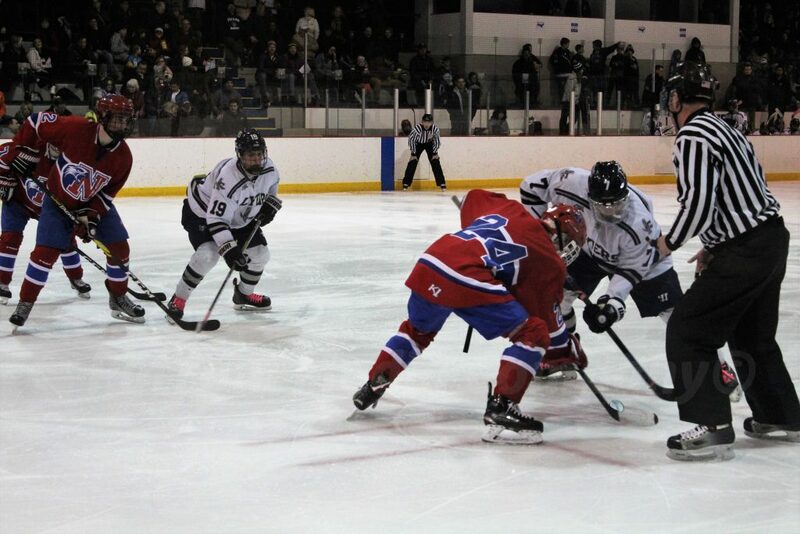 FRAMINGHAM – Framingham defeated Natick High at Loring Arena on Saturday night to conclude rivalry week between the two schools. 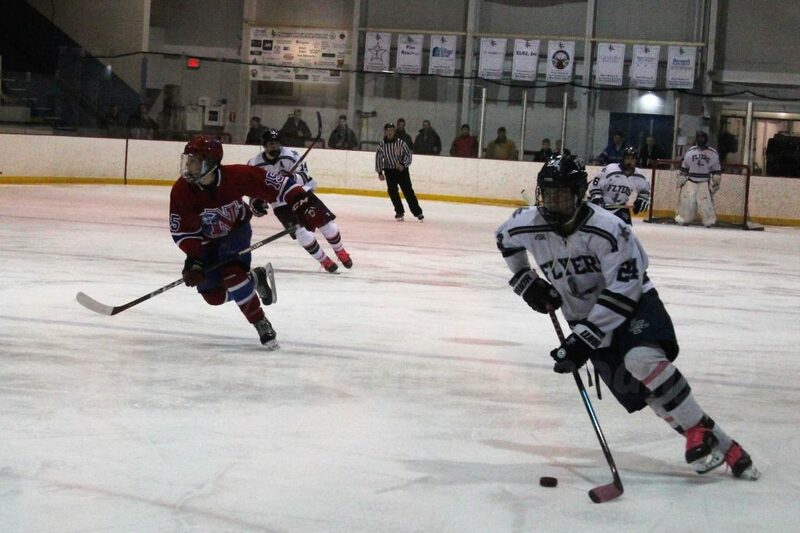 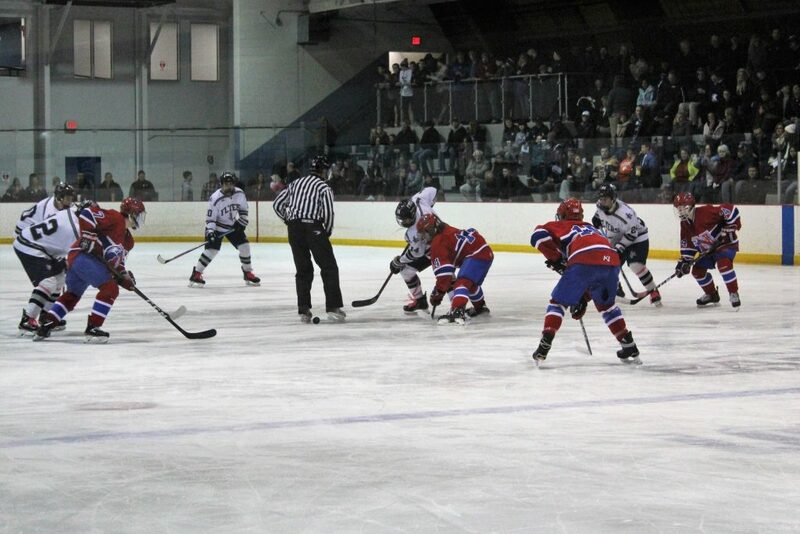 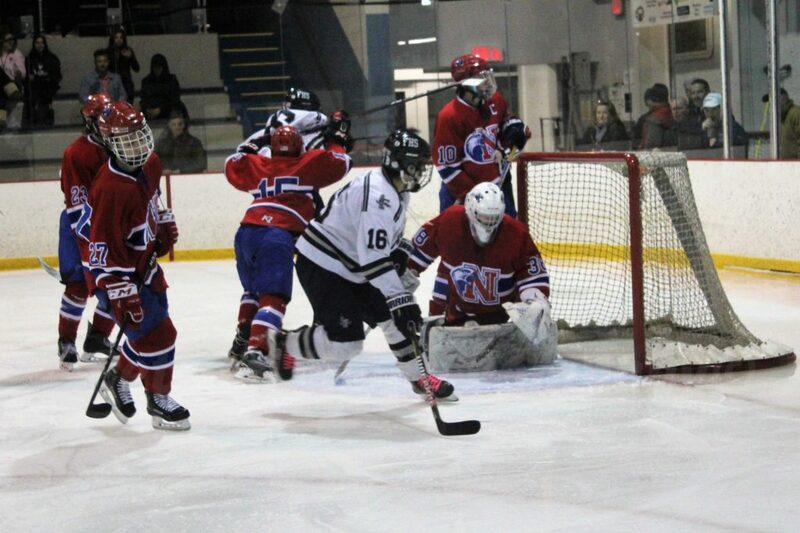 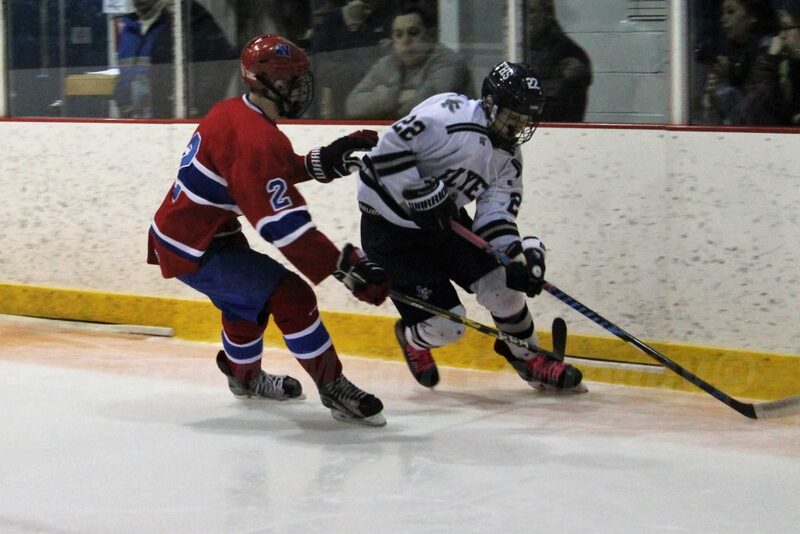 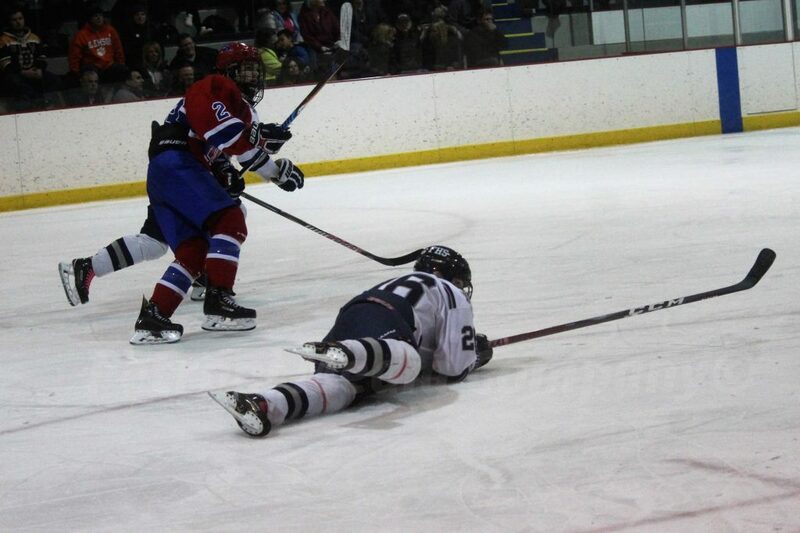 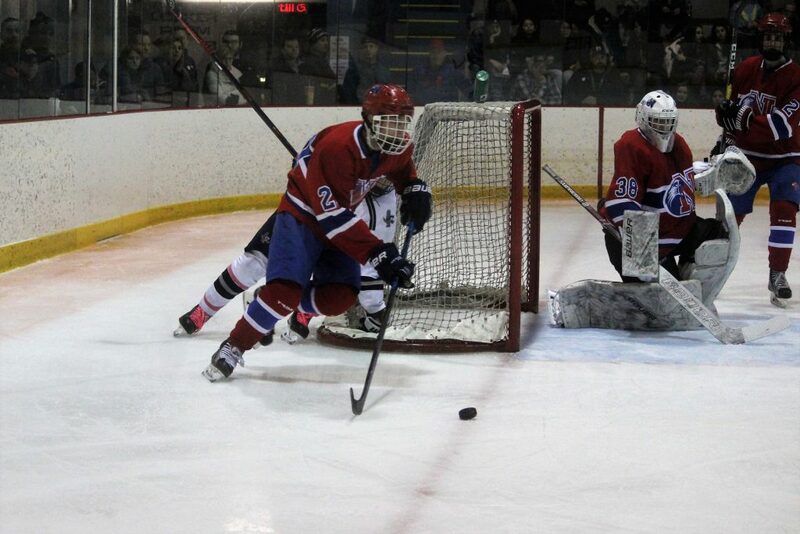 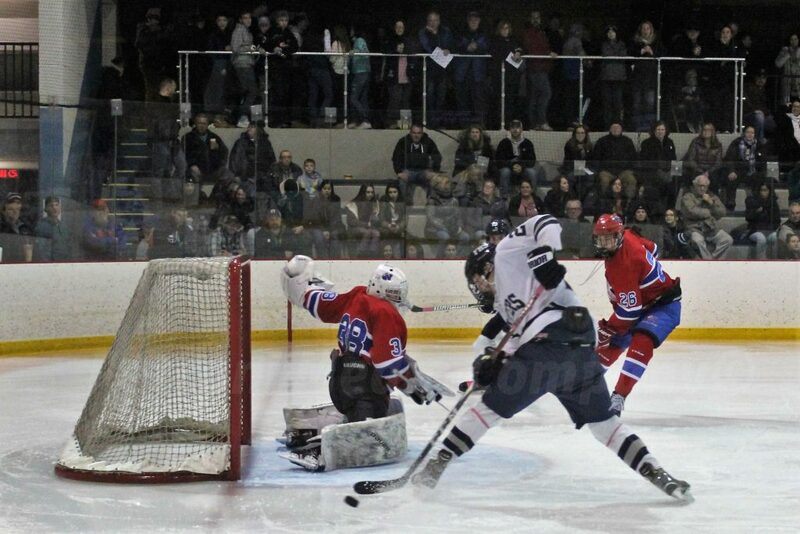 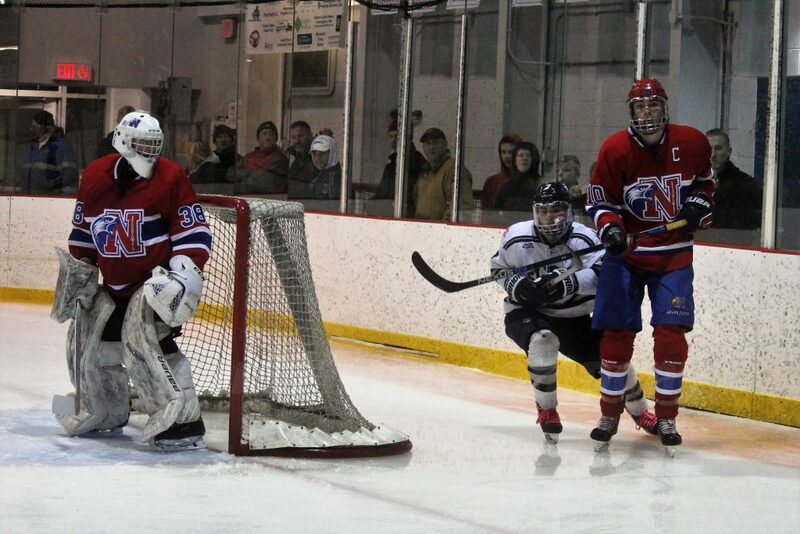 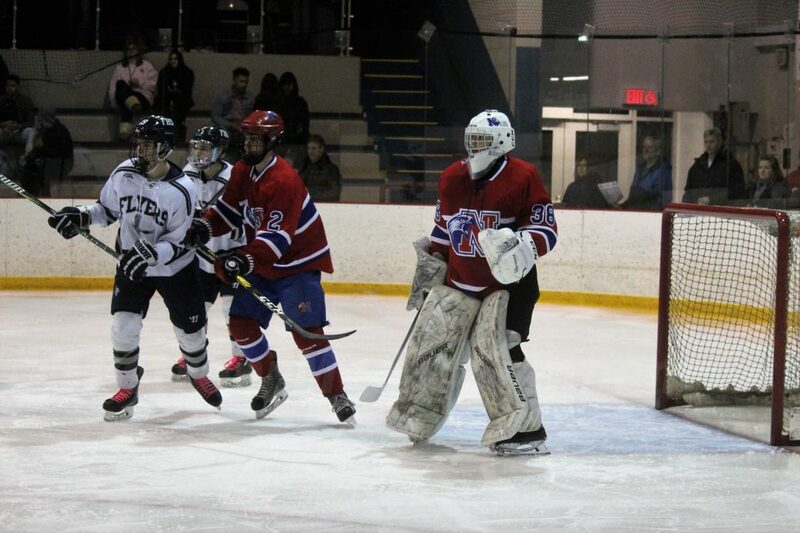 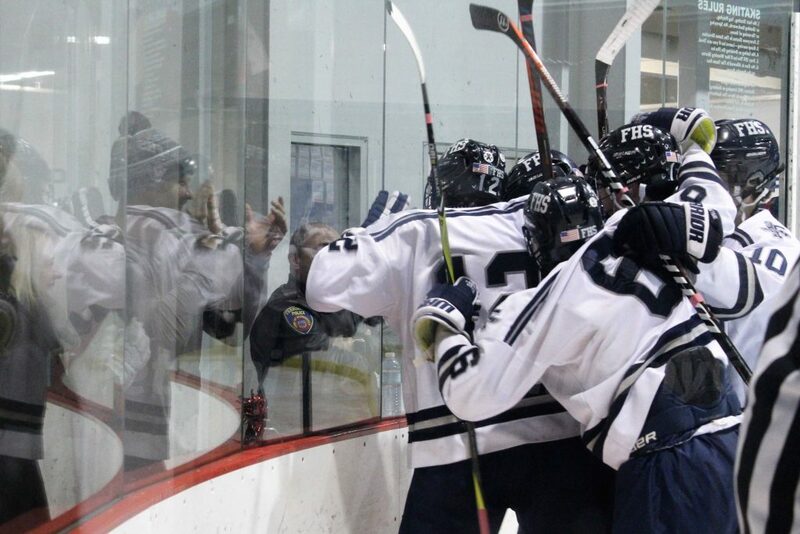 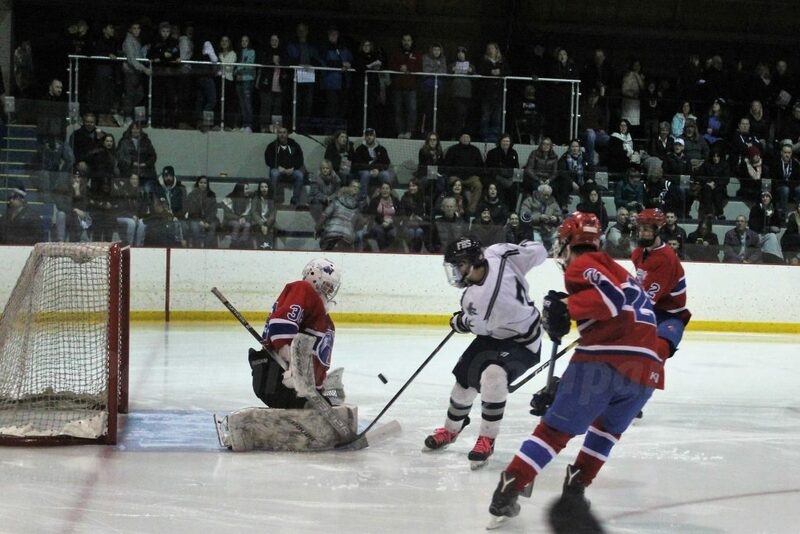 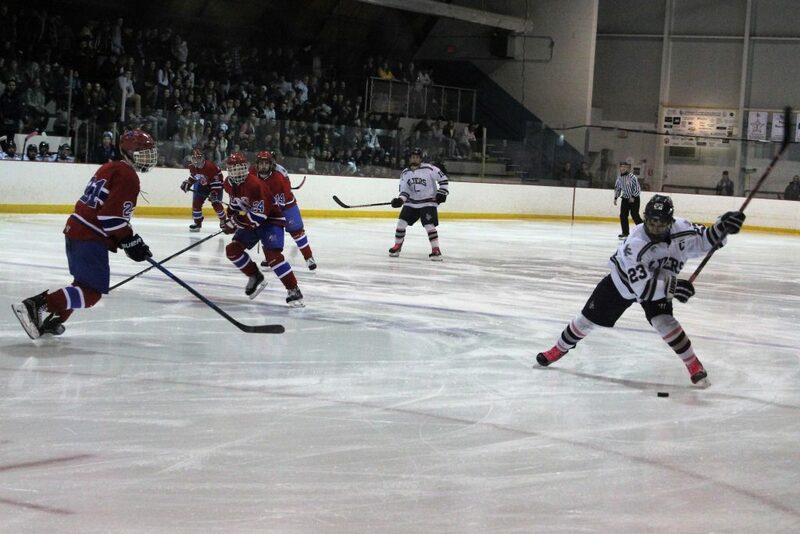 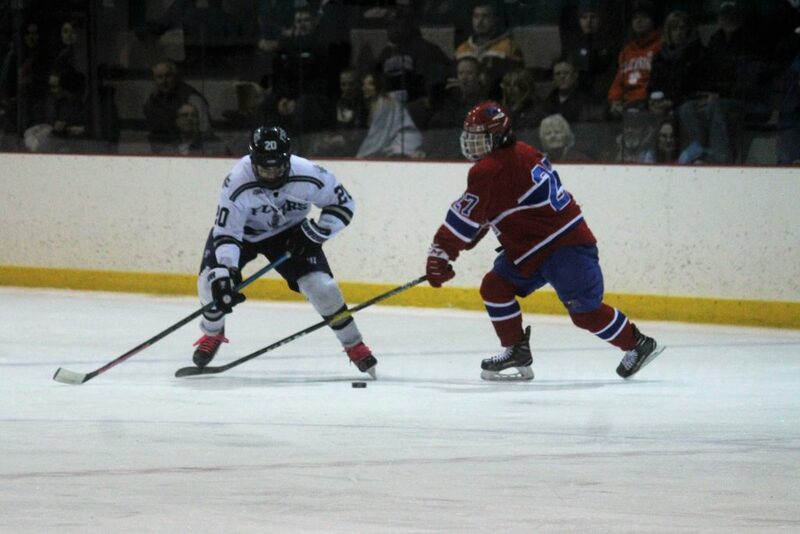 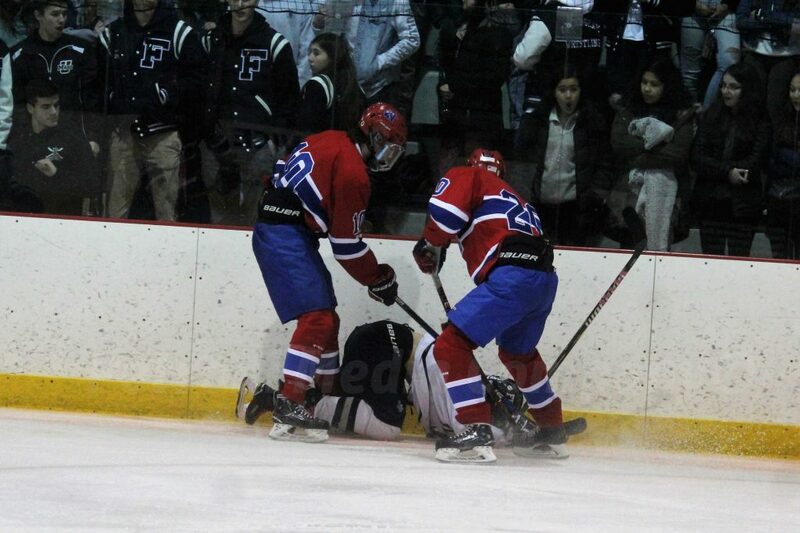 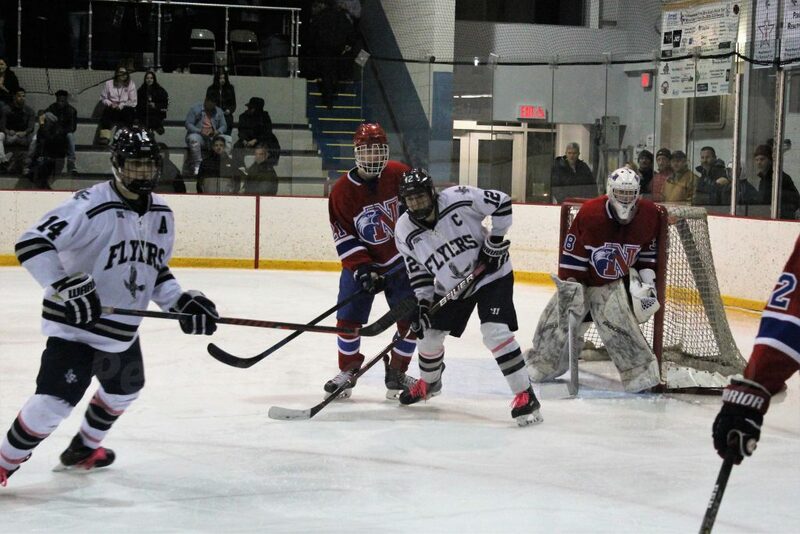 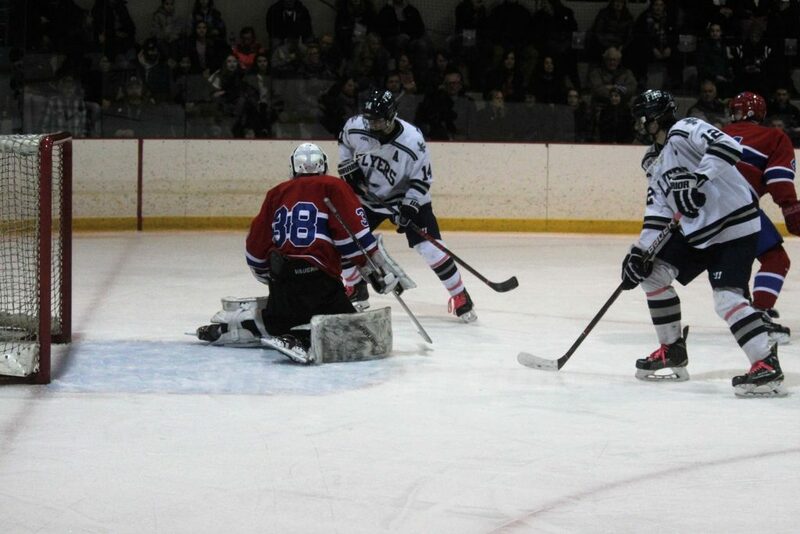 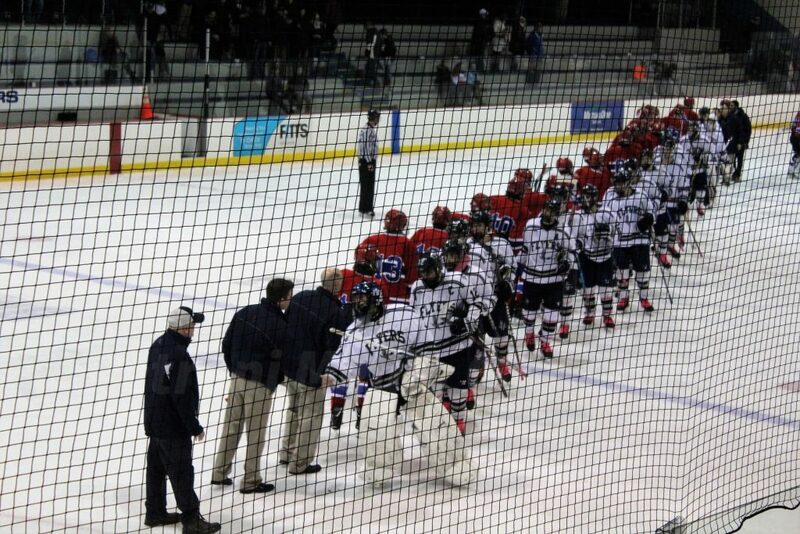 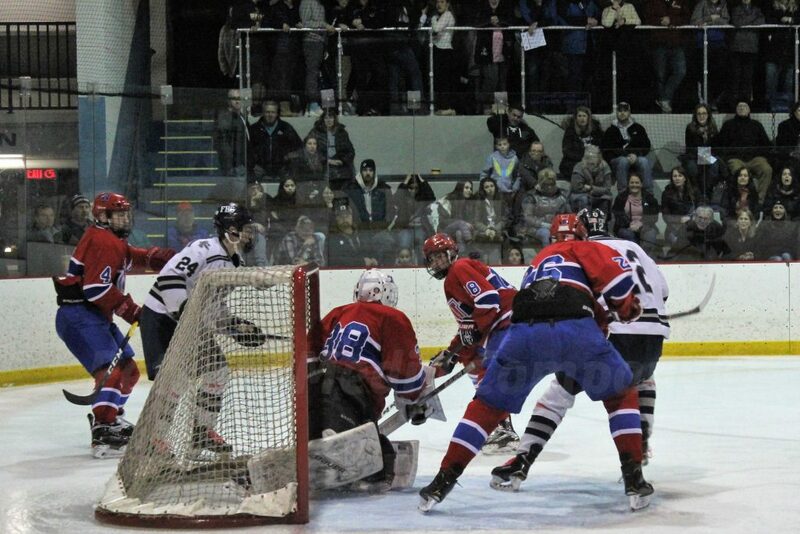 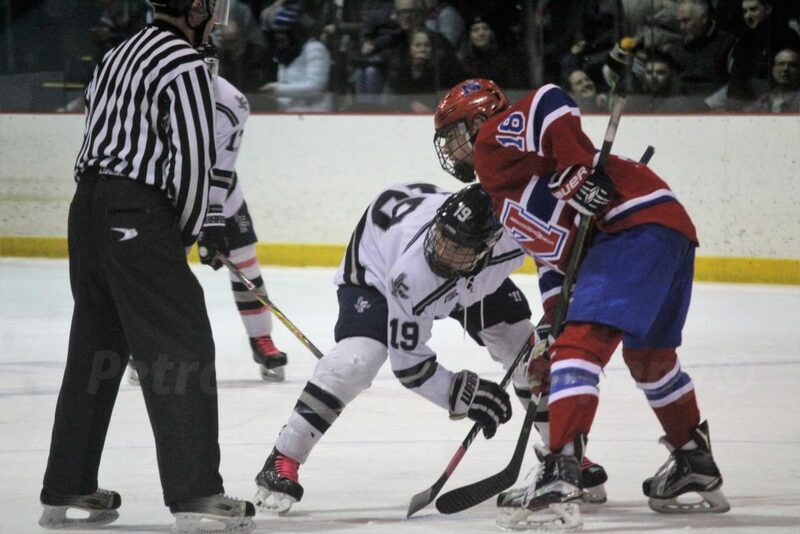 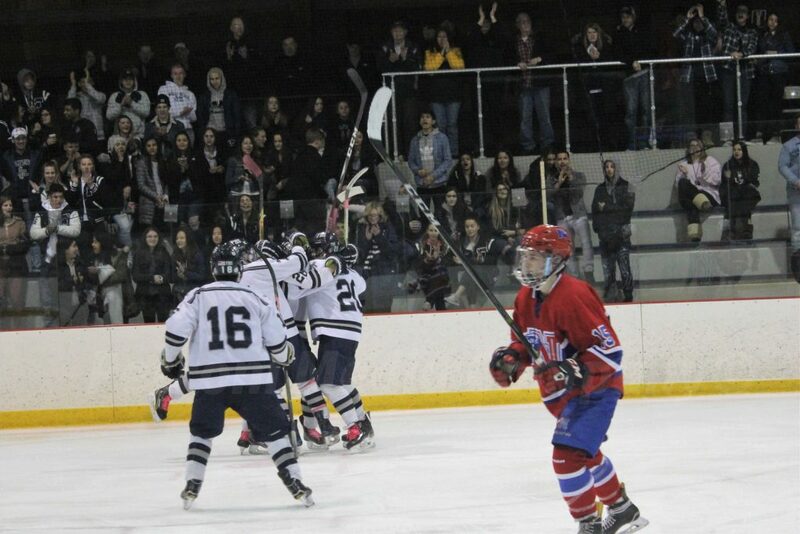 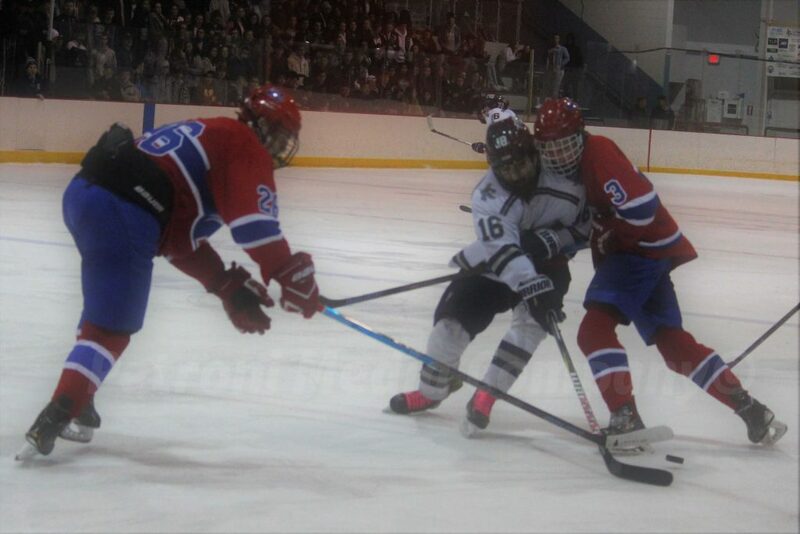 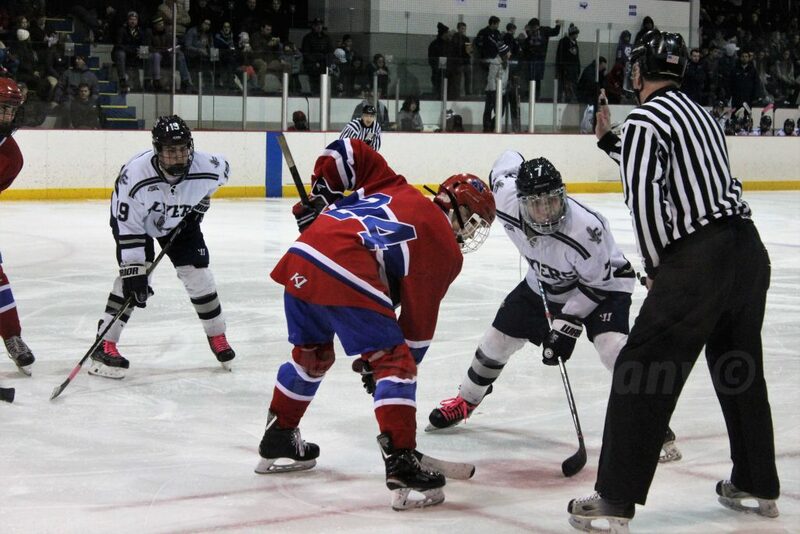 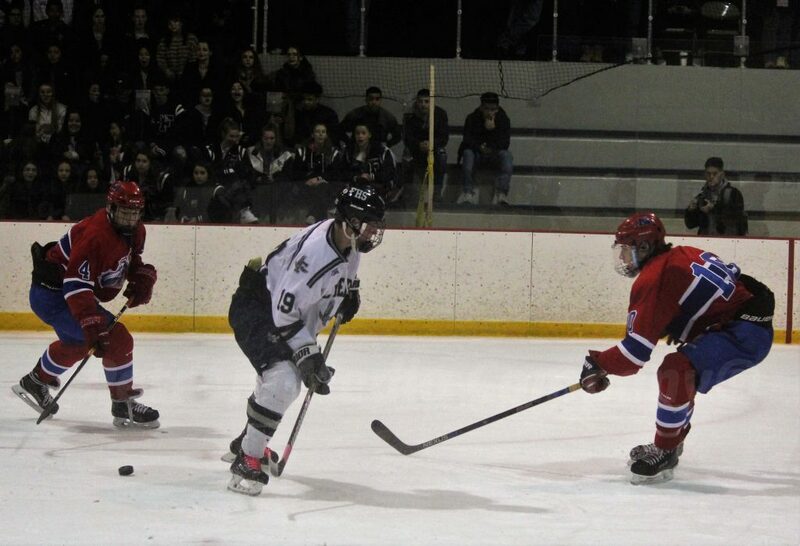 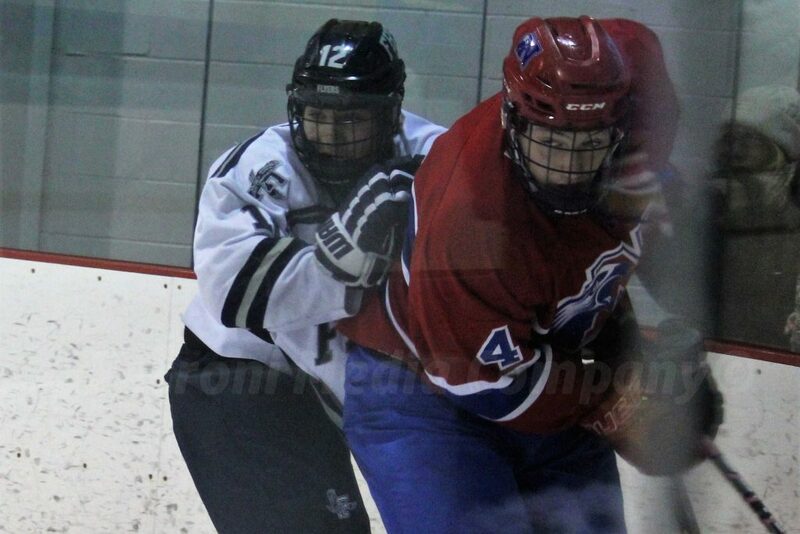 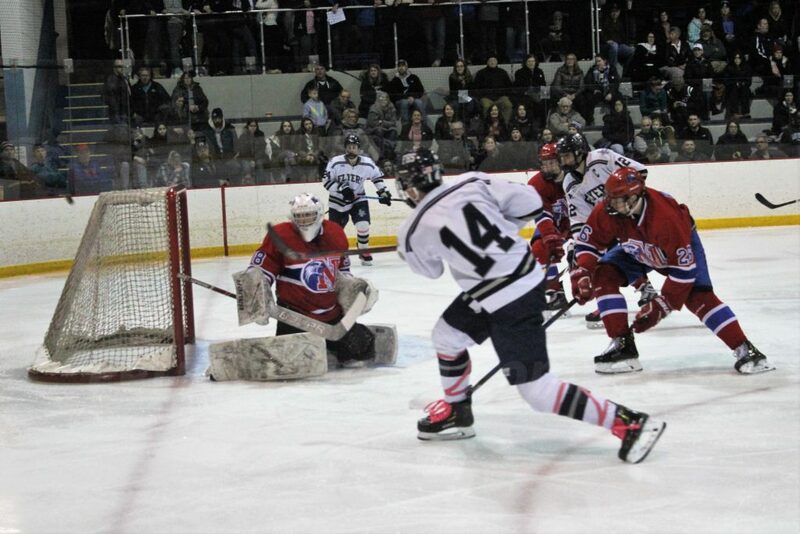 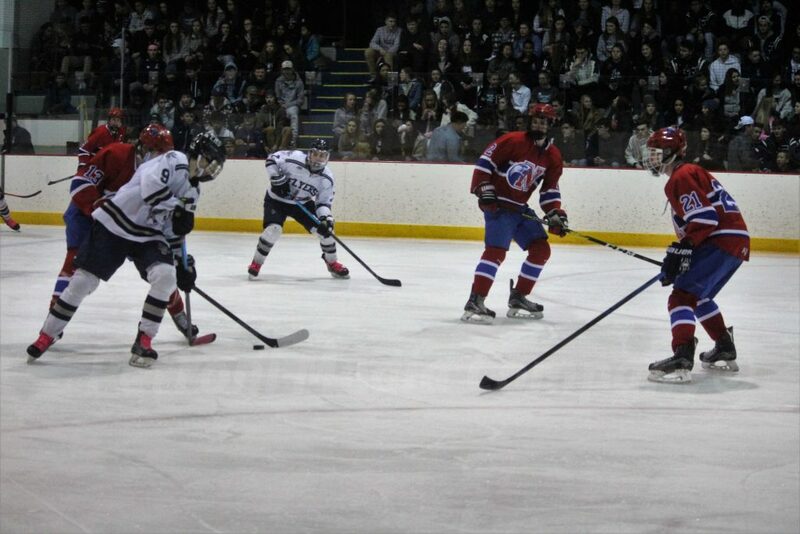 Framingham won the the head-to-head matchups with Natick, threecontests to two. 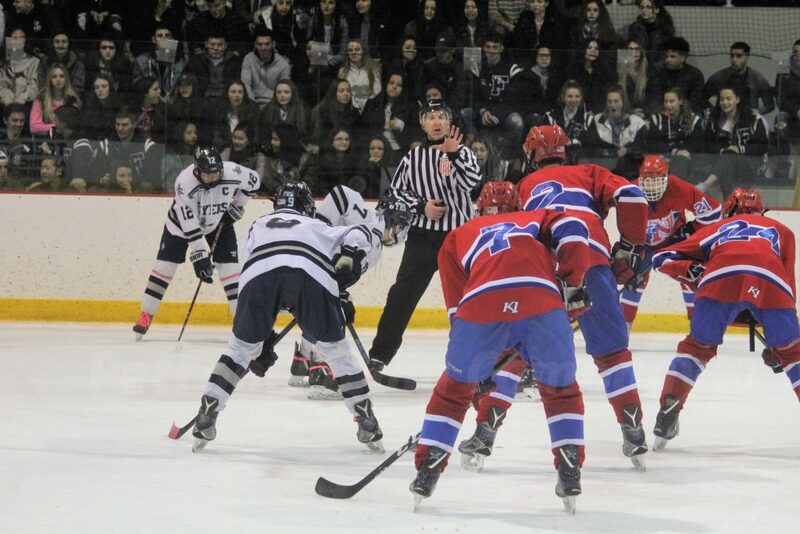 Framingham won boys basketball, wrestling, and boys hockey, Natick took girls basketball and girls hockey last week. 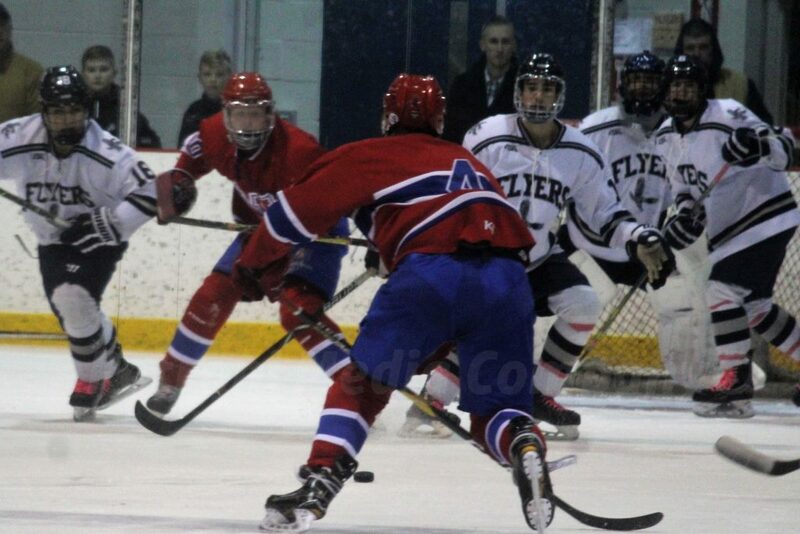 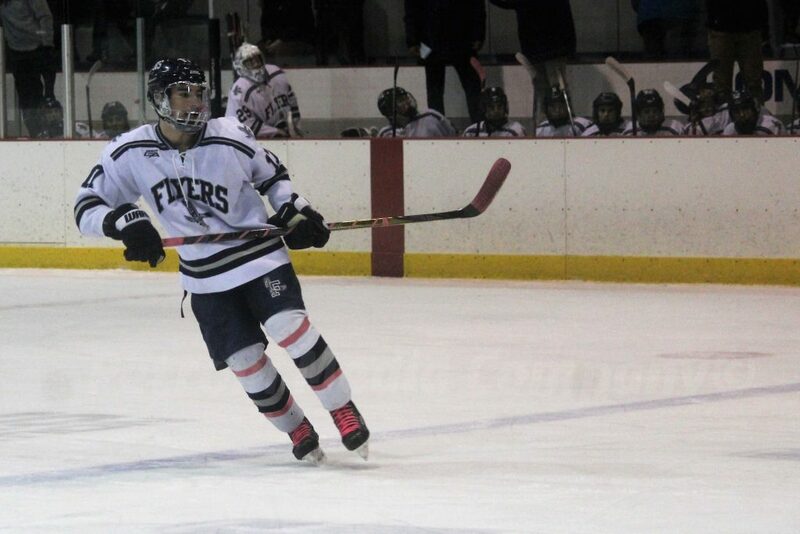 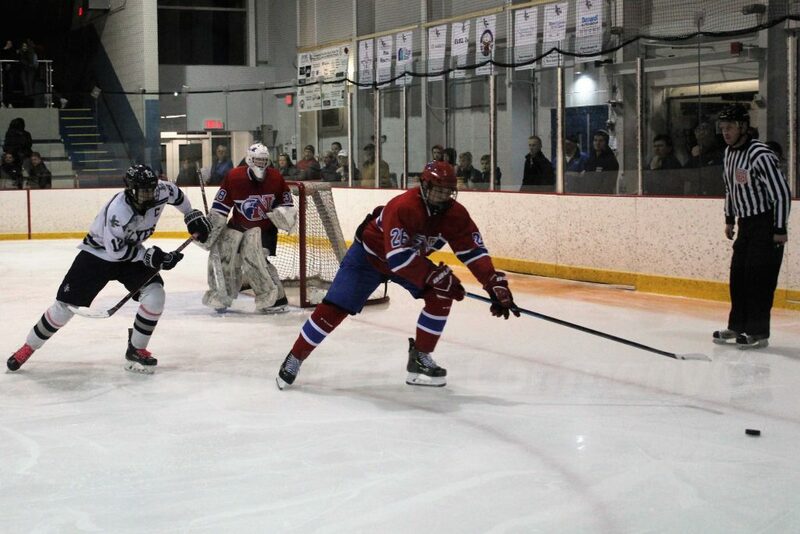 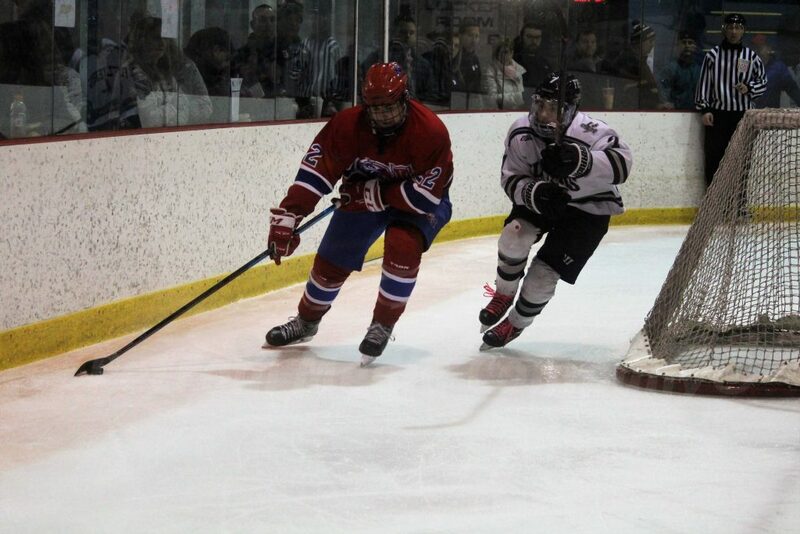 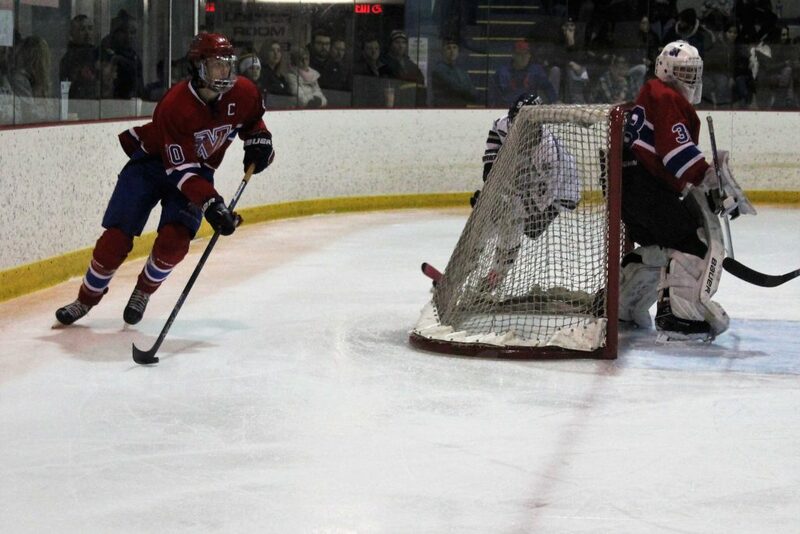 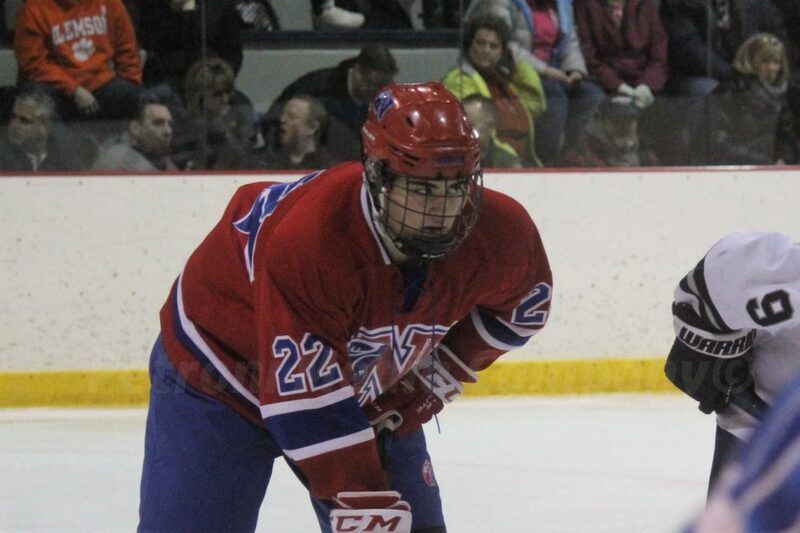 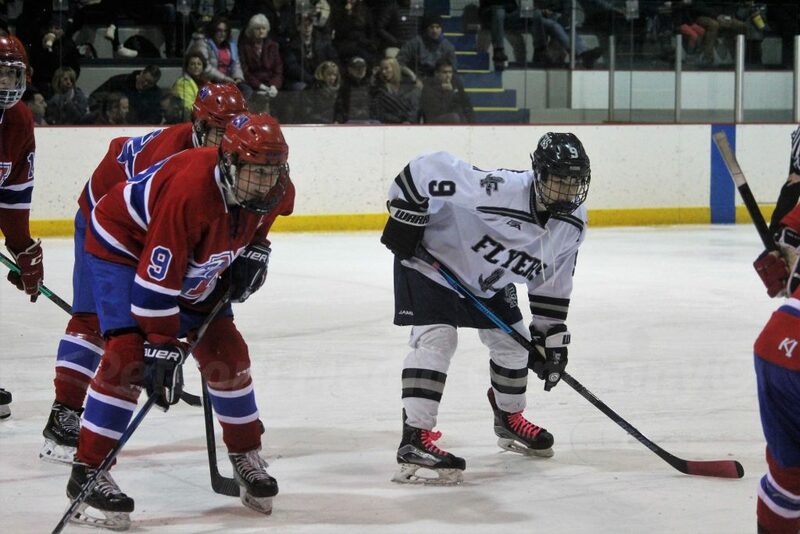 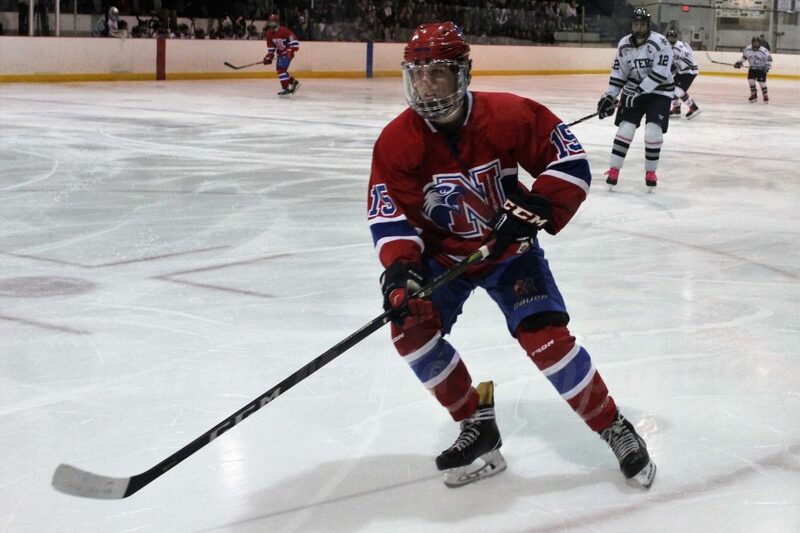 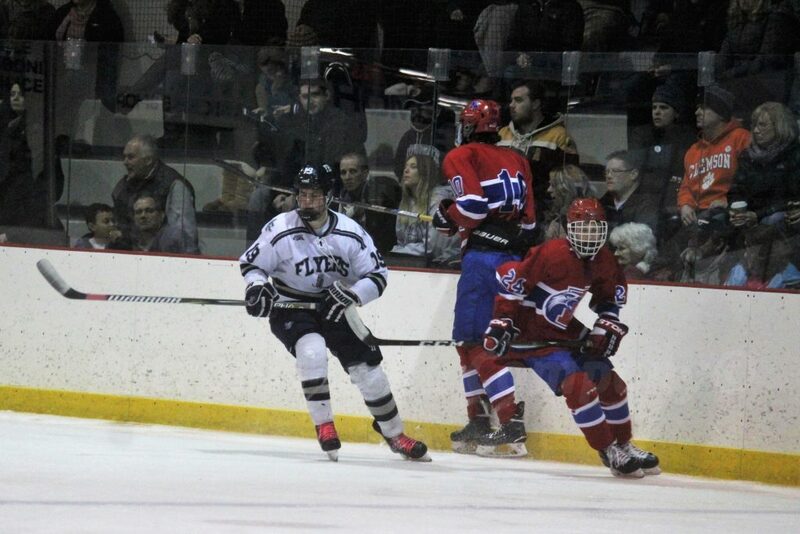 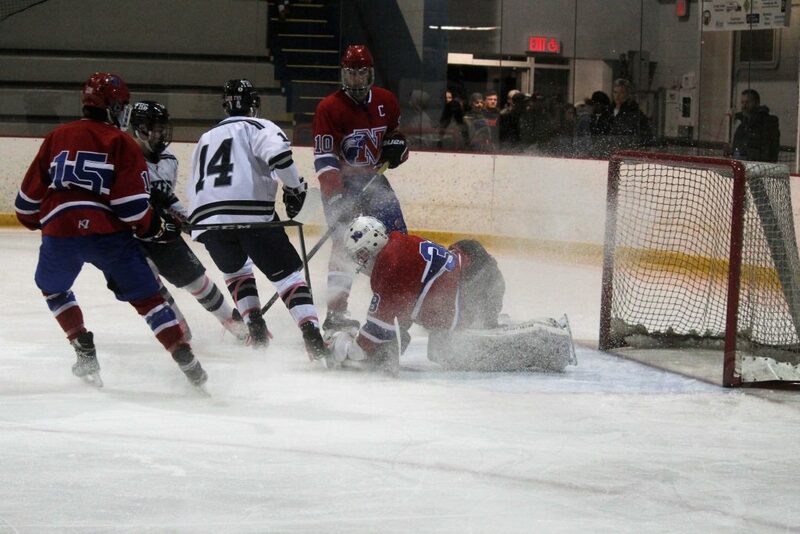 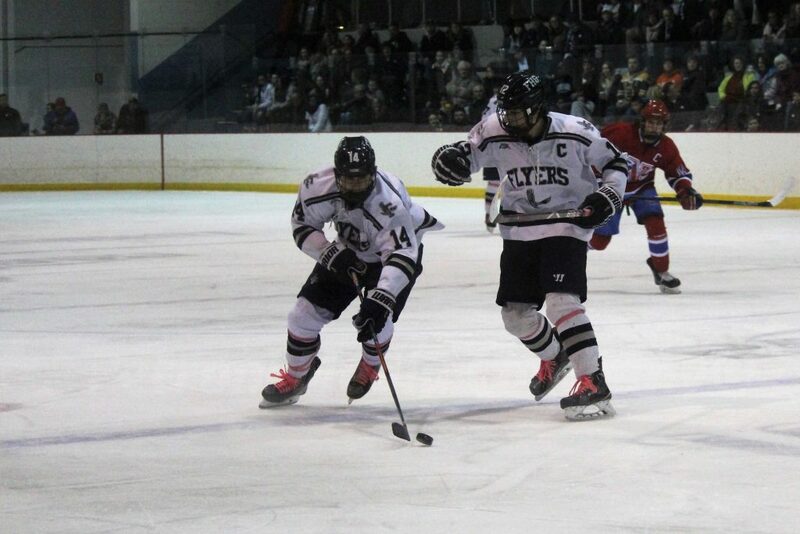 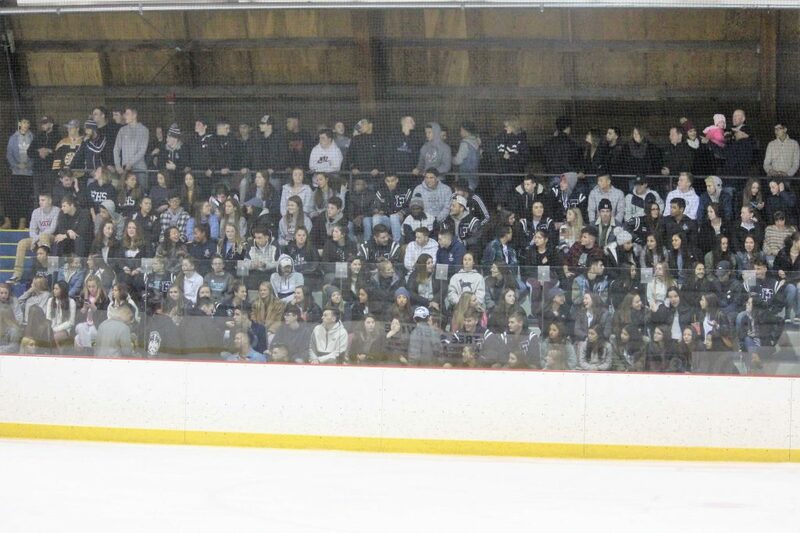 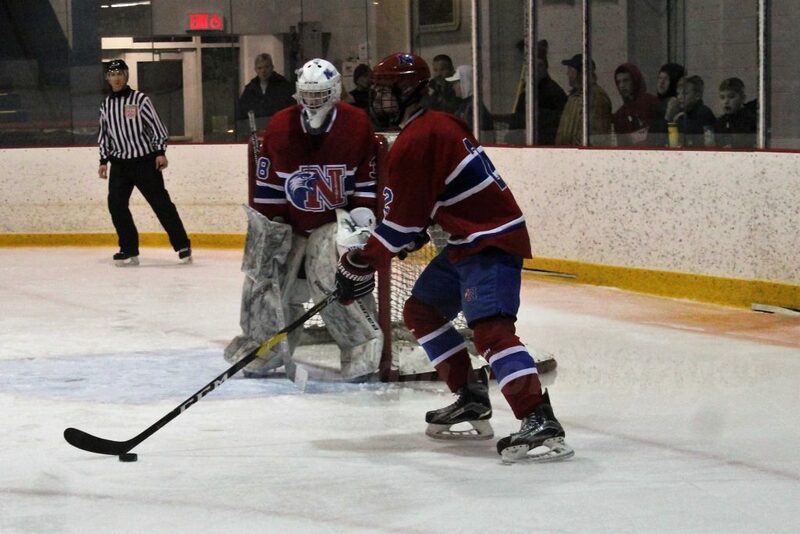 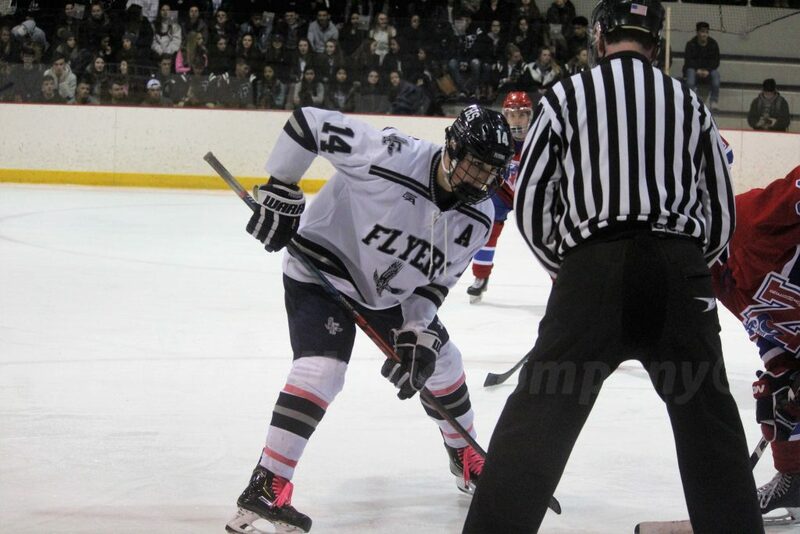 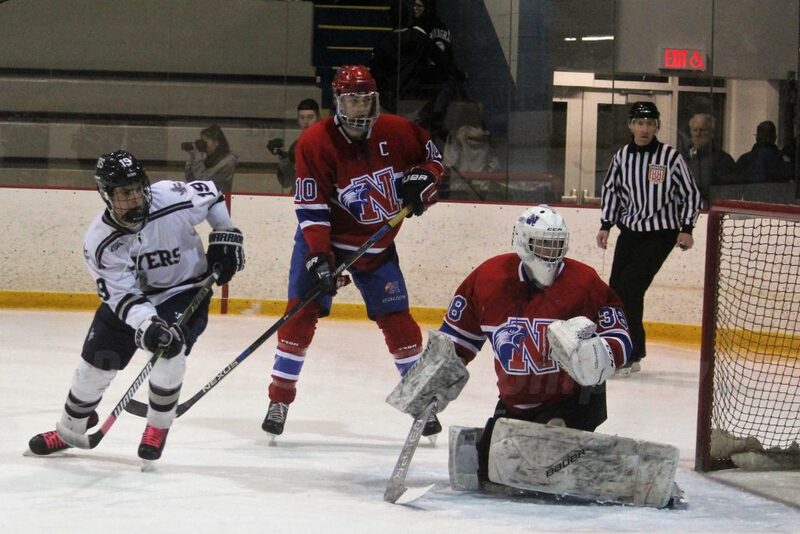 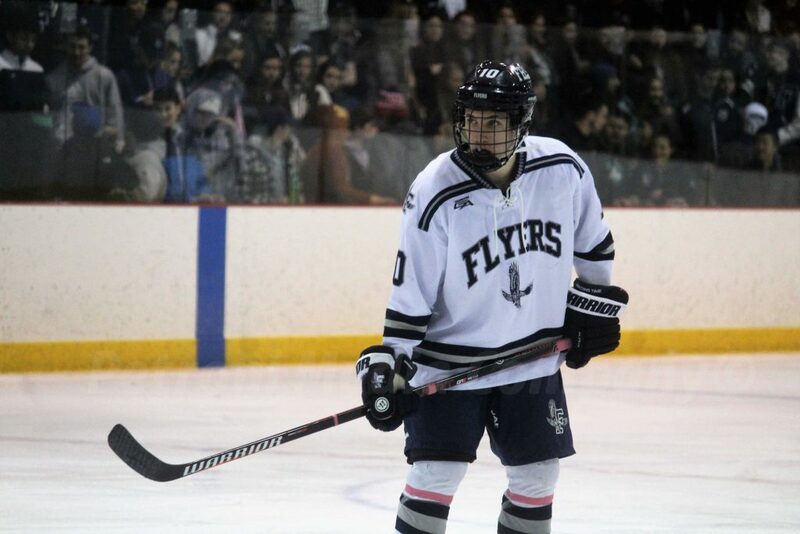 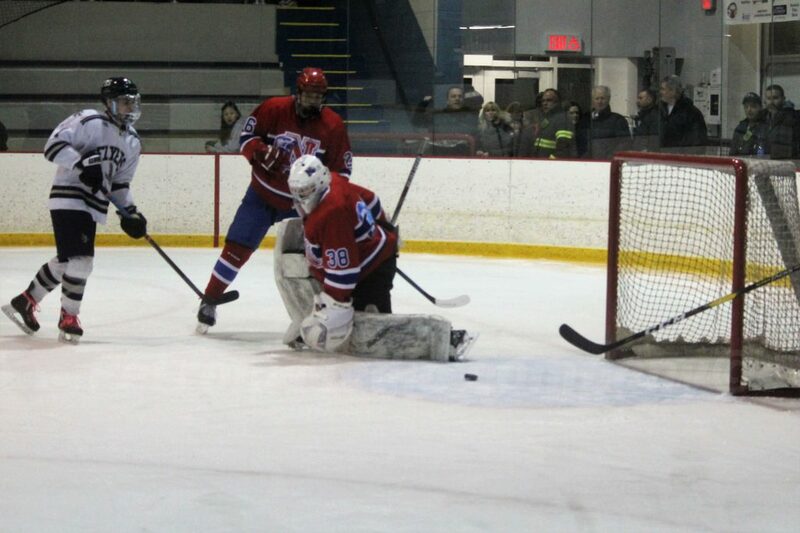 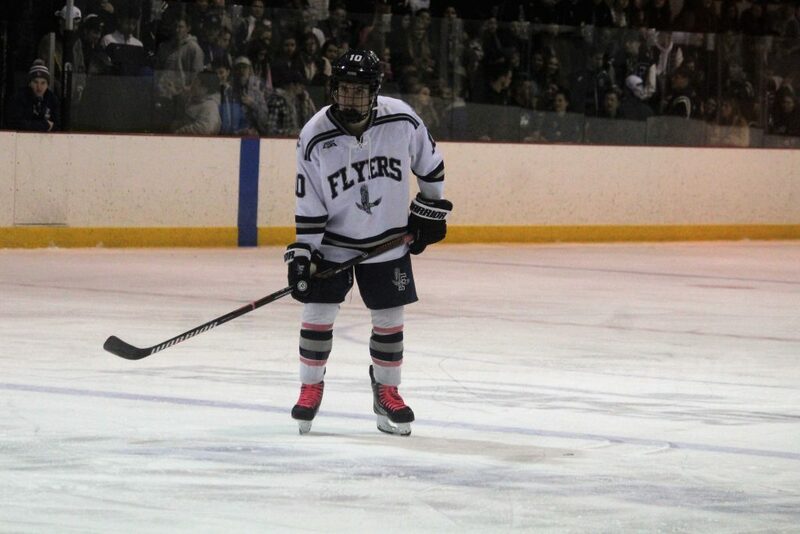 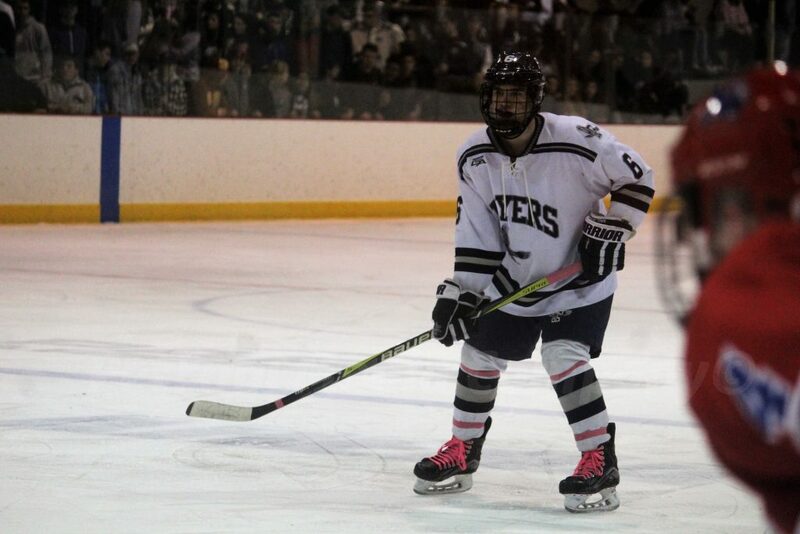 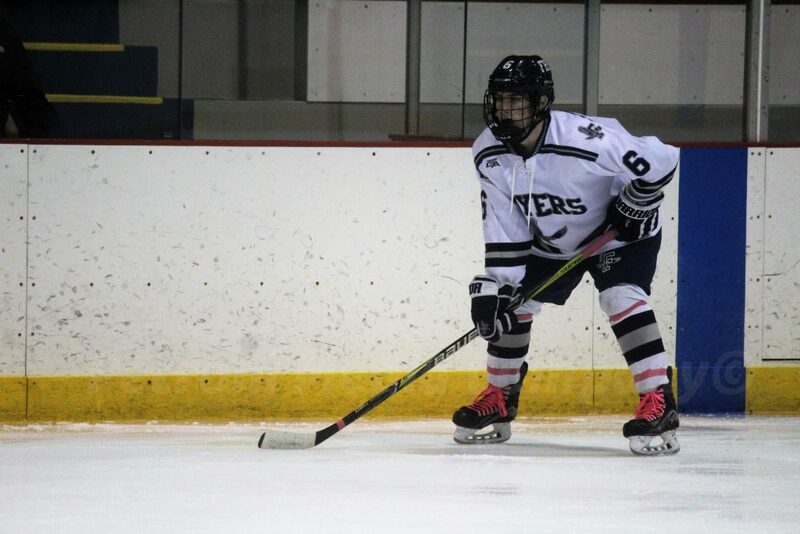 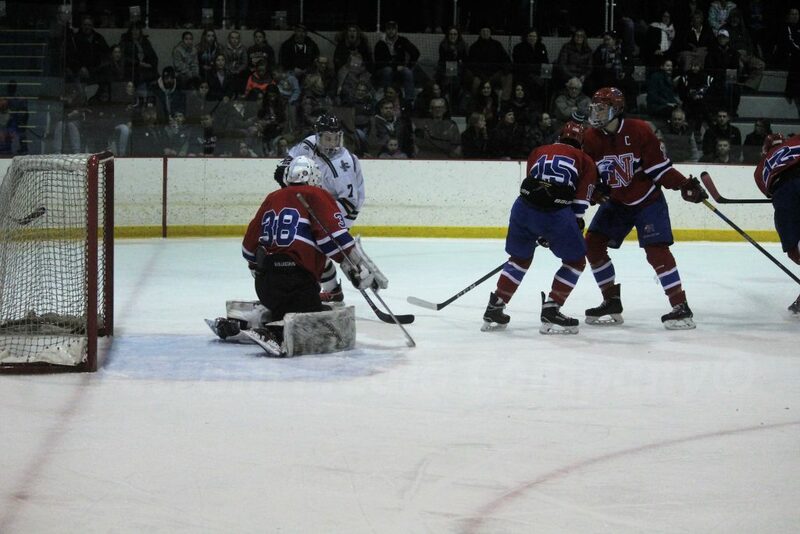 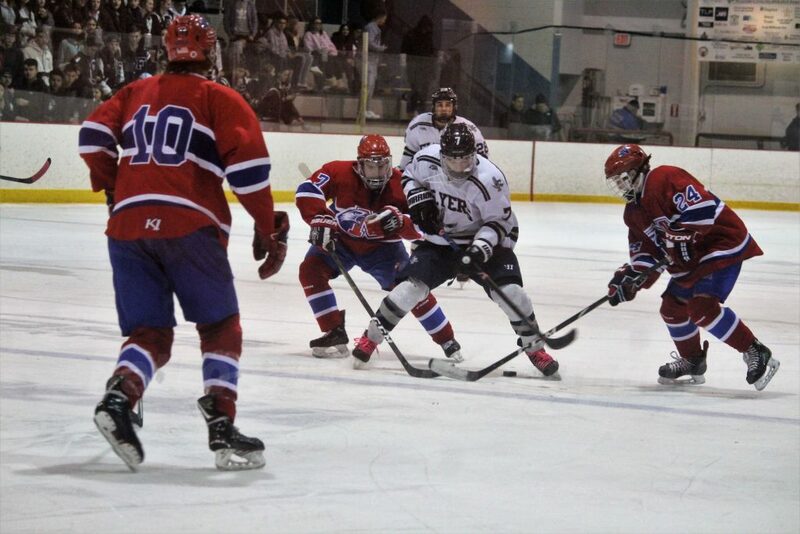 Last night, the Flyers defeated Natick 4-1. 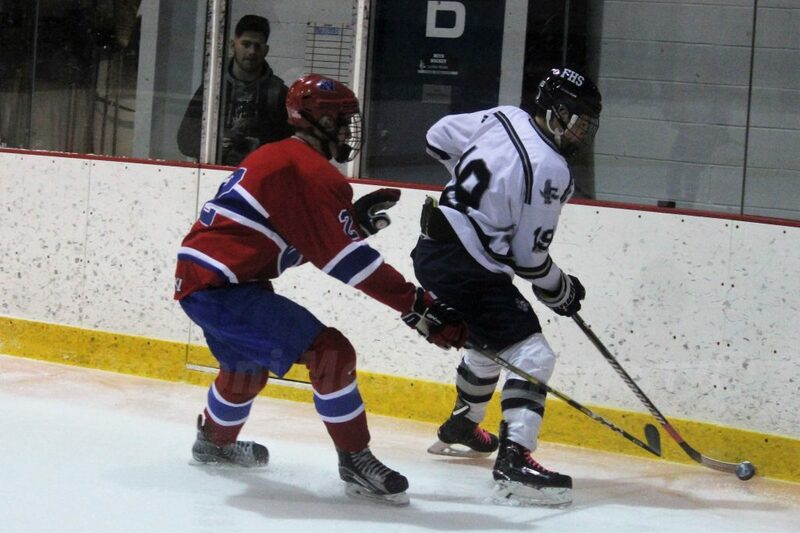 Senior captain Mike Tersoni had a goal and an assist. 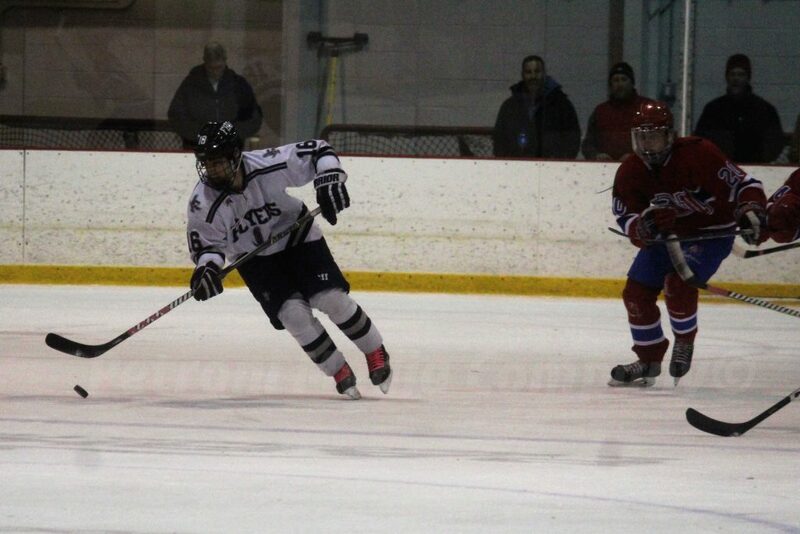 He is the leading scorer on the team this season. 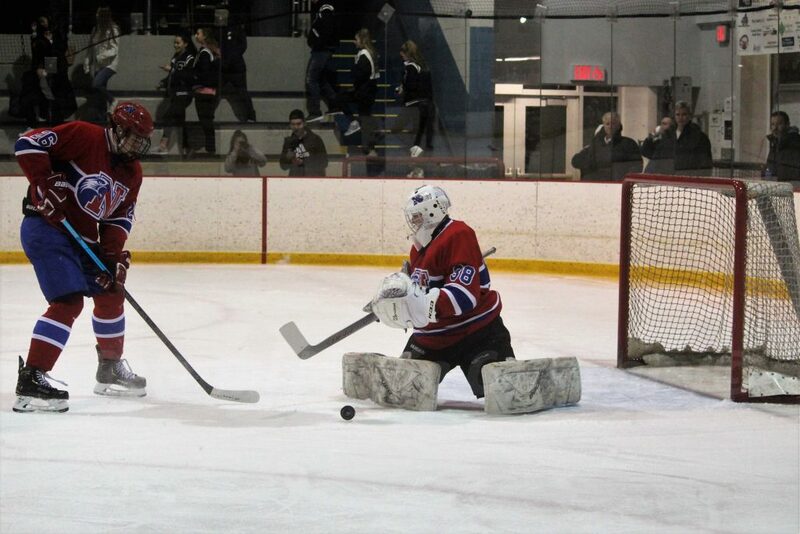 Senior goaltender Dominic Schiappa recorded 18 saves in the Flyers win. 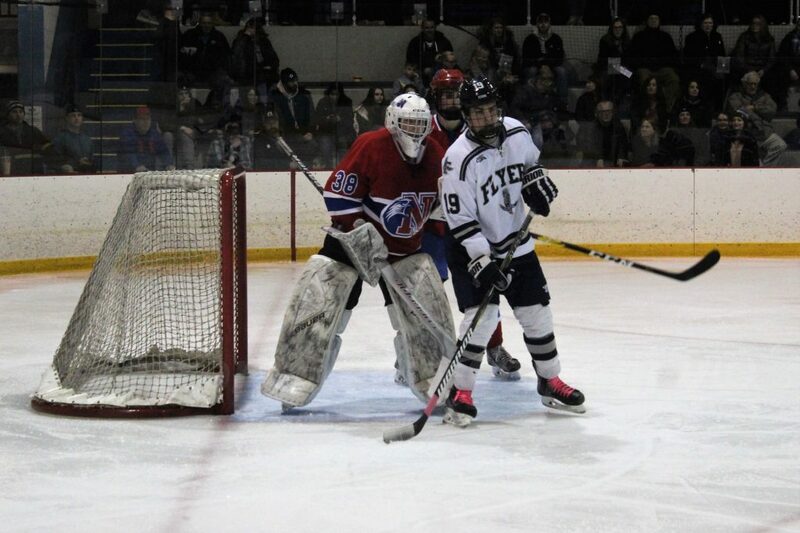 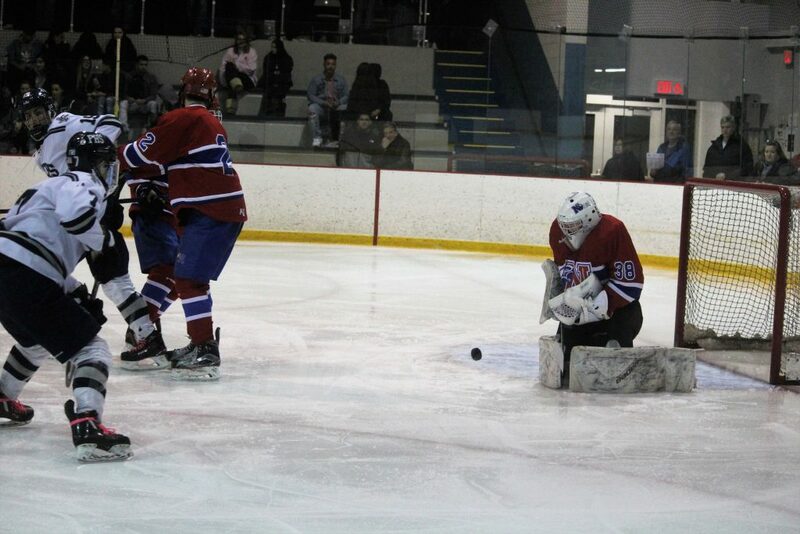 Framingham has been switching goaltenders all season between Jake Handy and Schiappa. 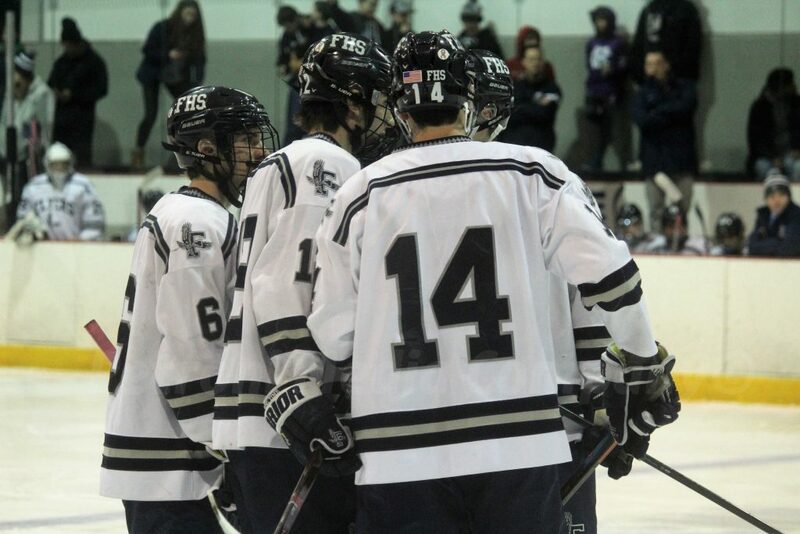 Framingham is now 14-2-2 overall and 12-0-1 in the Bay State Conference. 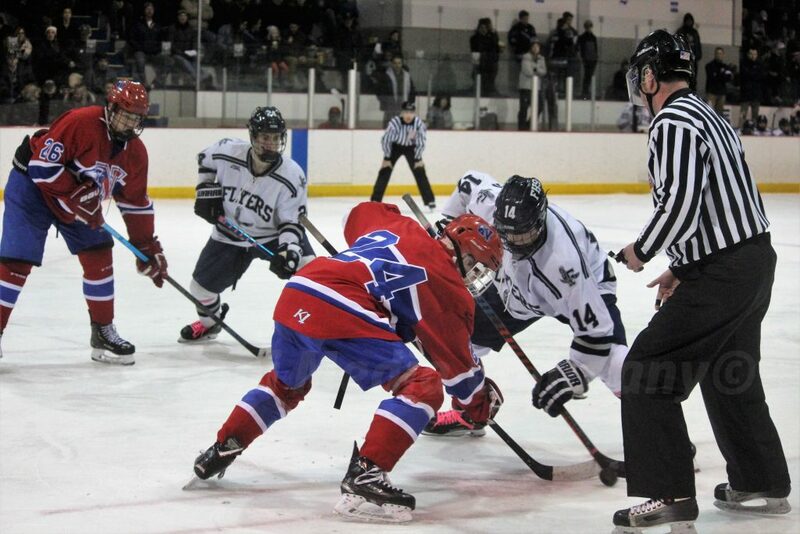 Next up for the Flyers is Hingham High’s Harbormen, who are ranked #4 in the state. 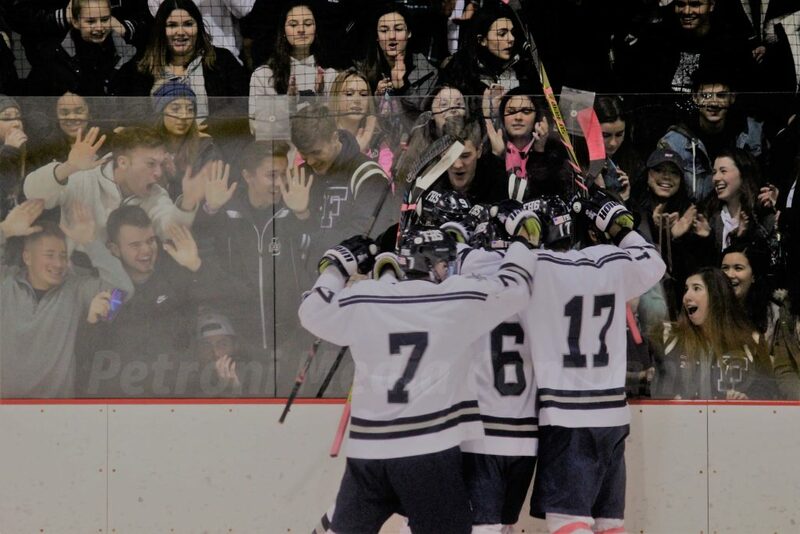 Framingham is currently ranked #6 in the state. 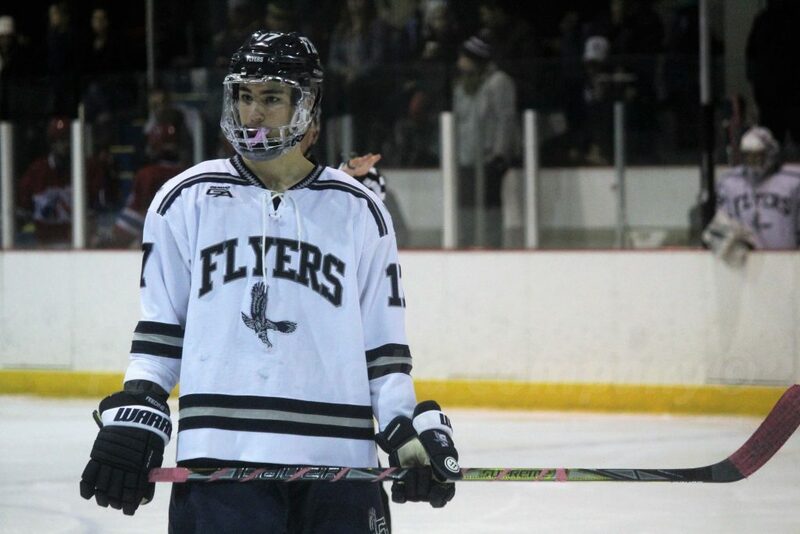 With seven minutes left in the first period, Will Trischetta got the Flyers on the scoreboard. 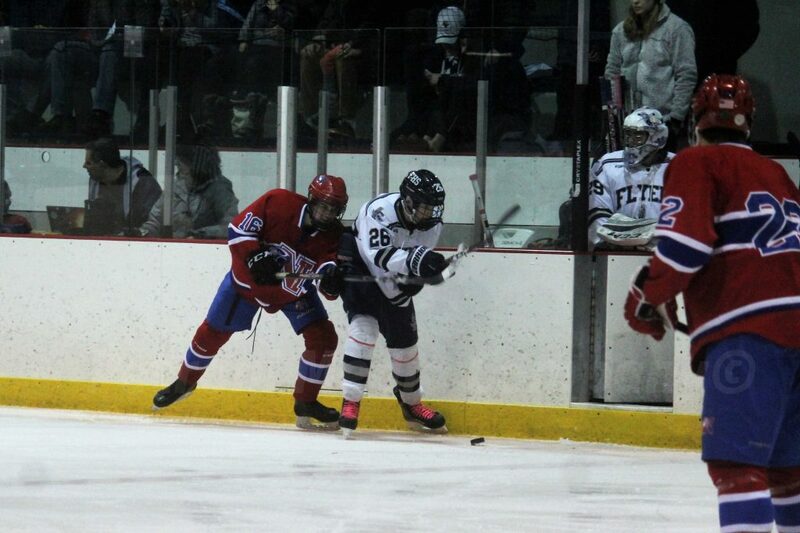 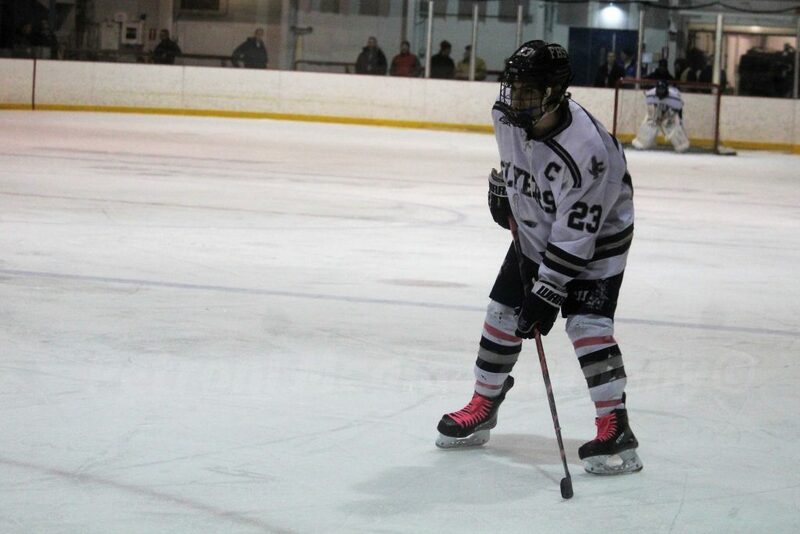 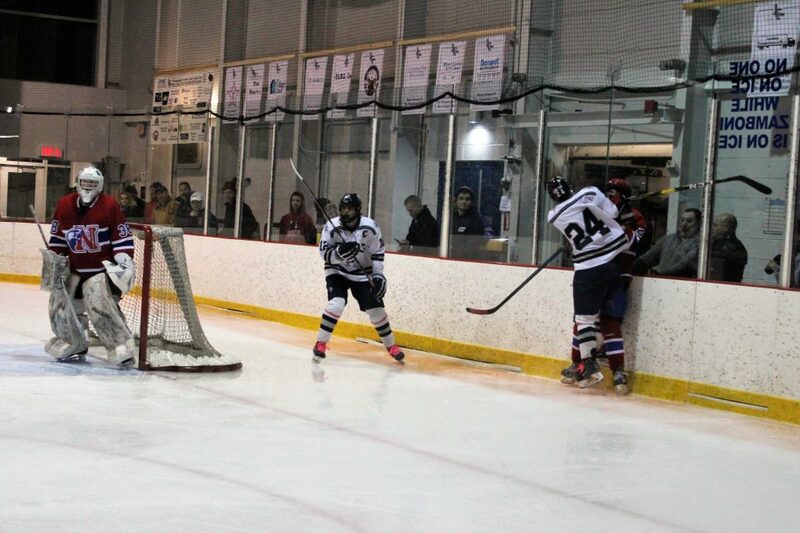 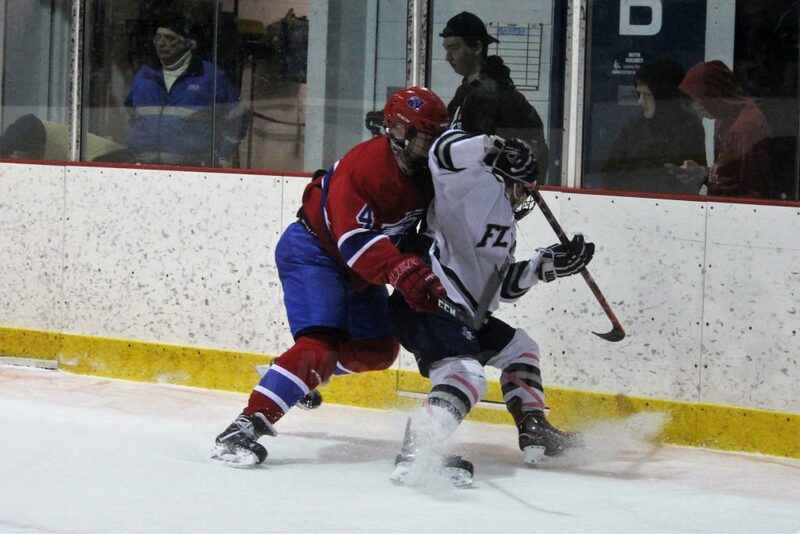 Framingham got into some penalty problems at the end of the first period, but did an excellent job killing them off. 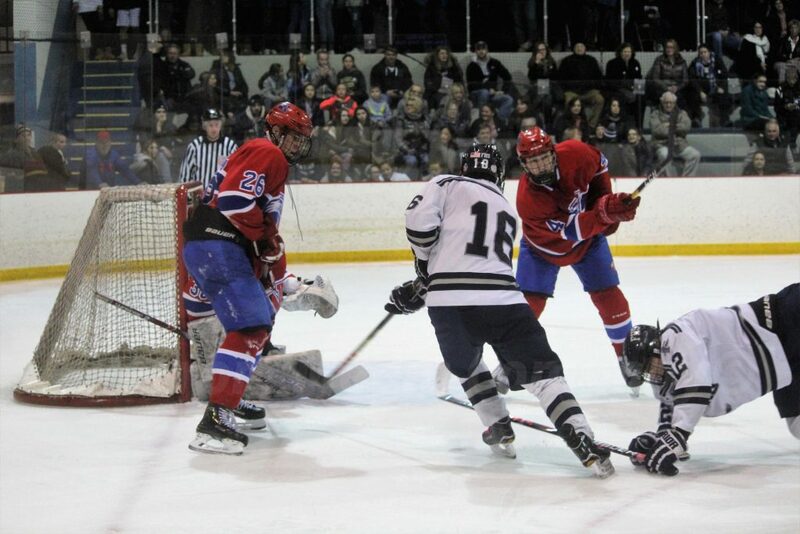 Sophomore Hunter Bladucci scored, what would be the game winner, with eight and a half minutes left in the second period. 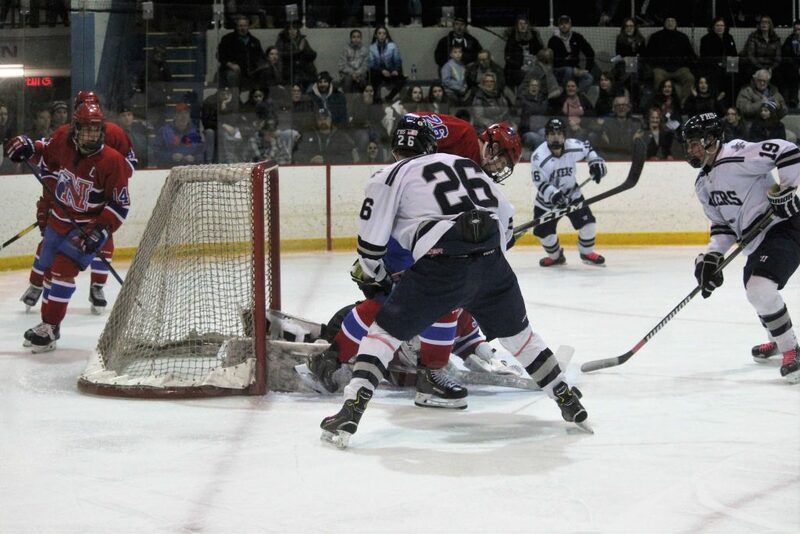 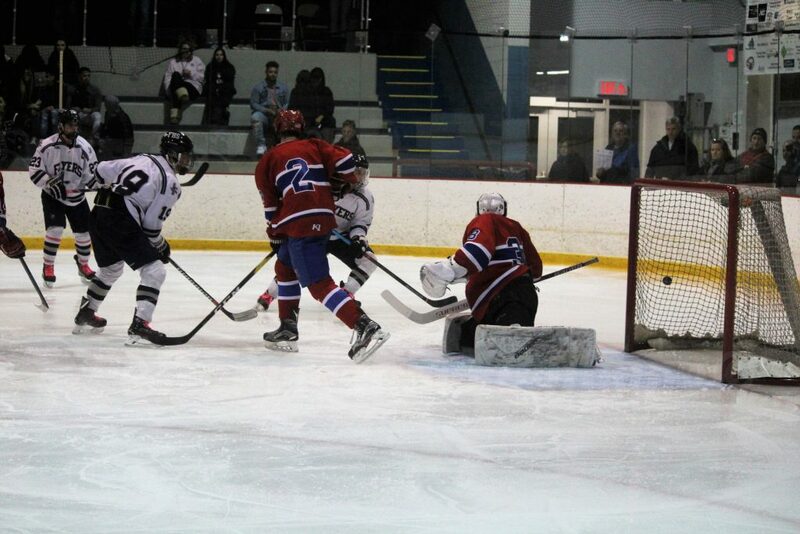 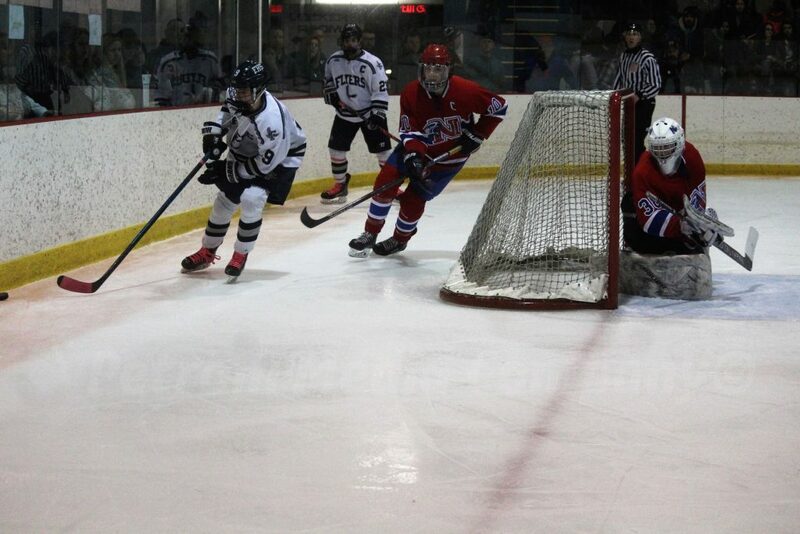 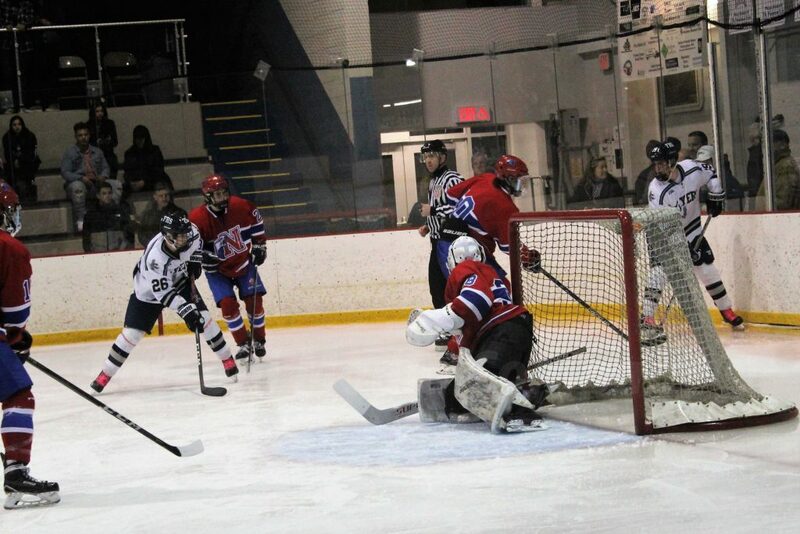 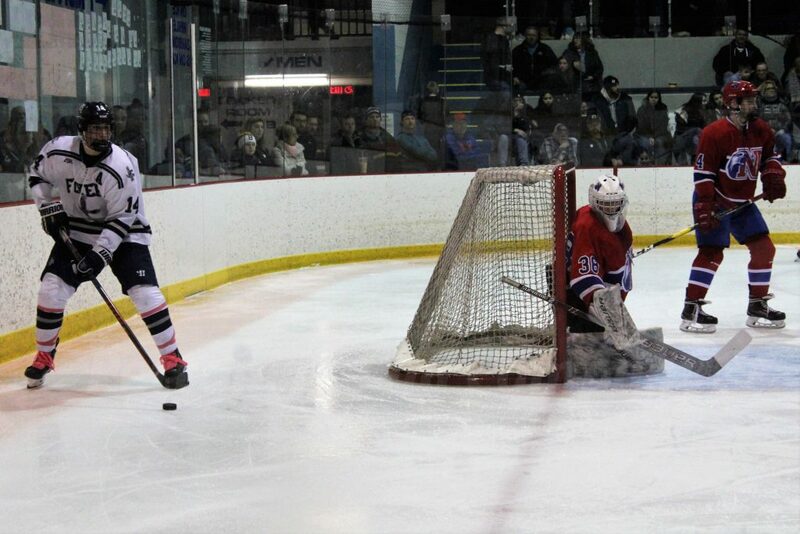 His goal gave Framingham a 2-0 lead. 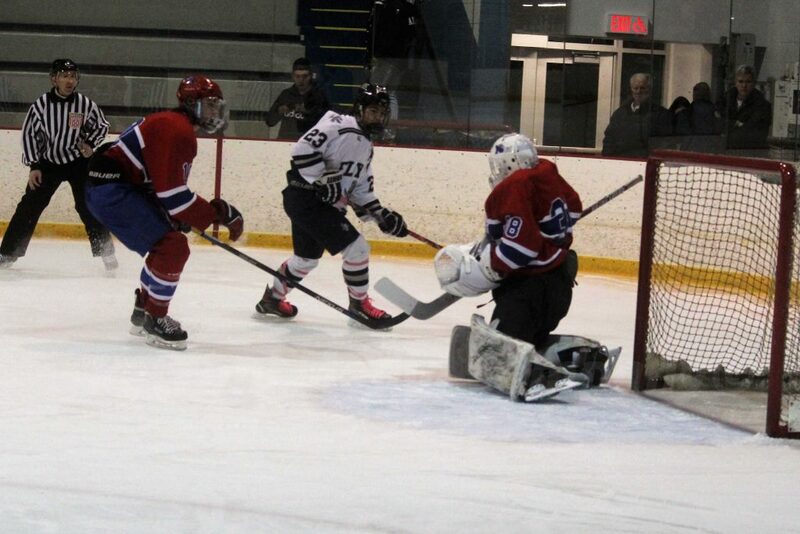 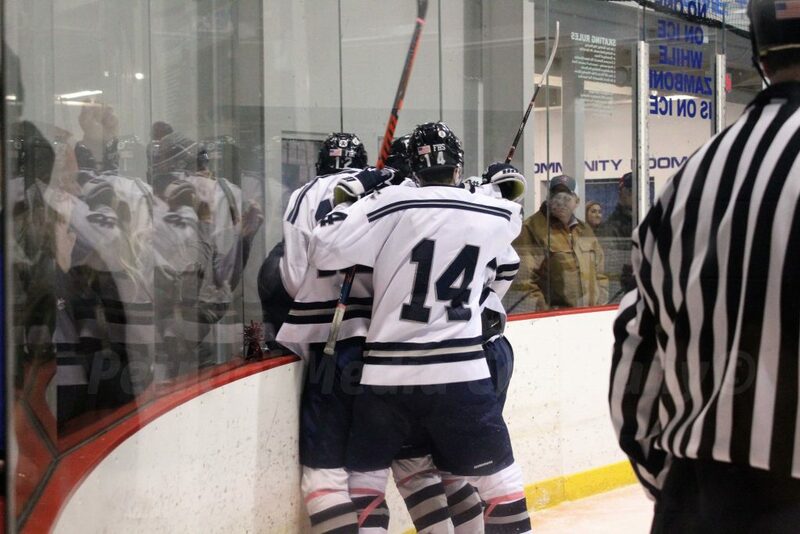 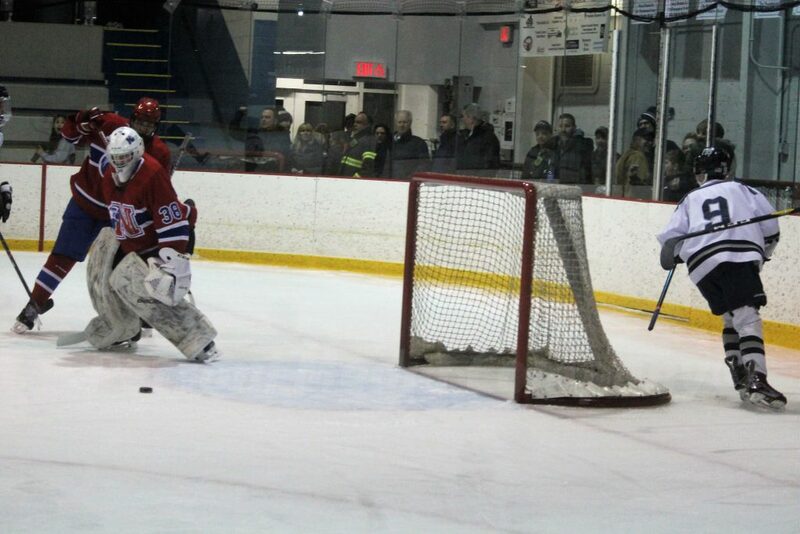 Tersoni gave Framingham a 3-0 lead, when he scored with 2:48 left in the middle period. 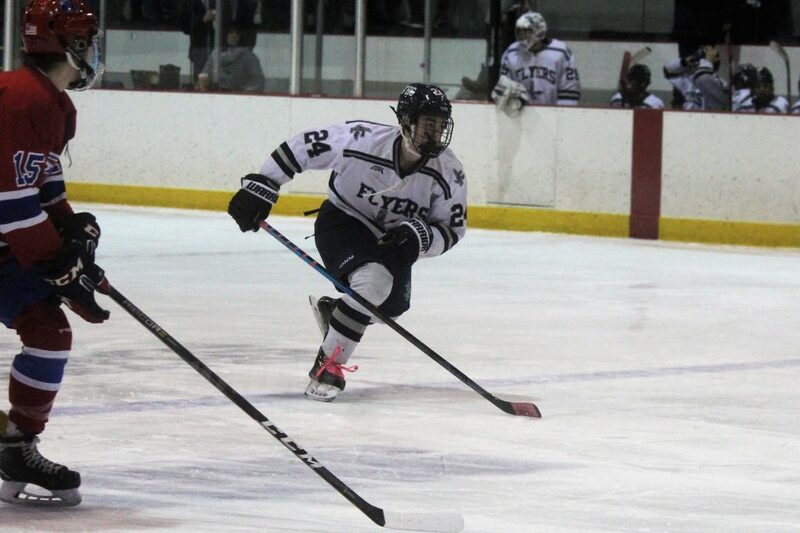 Freshman Tommy Duane gave the Flyers a 4-0 lead in the third period, before Natick added one goal to ruin the shut out win. 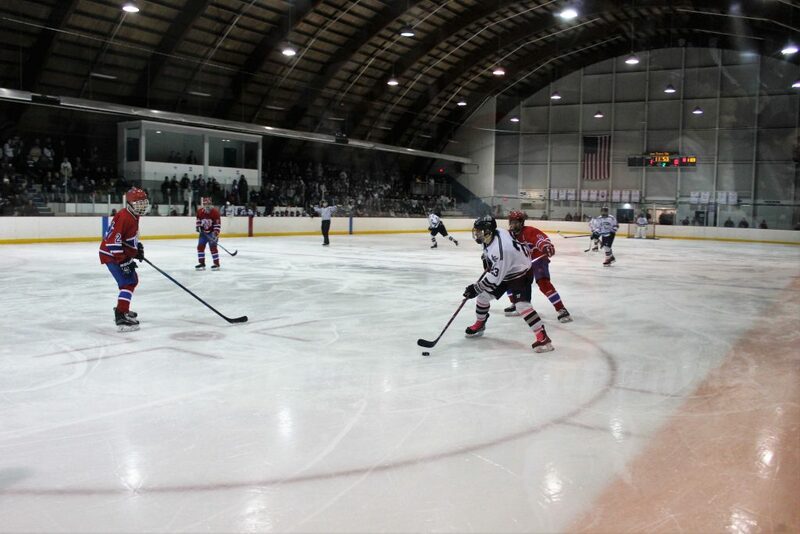 Framingham will host the Harbormen at Loring Arena on Monday night. 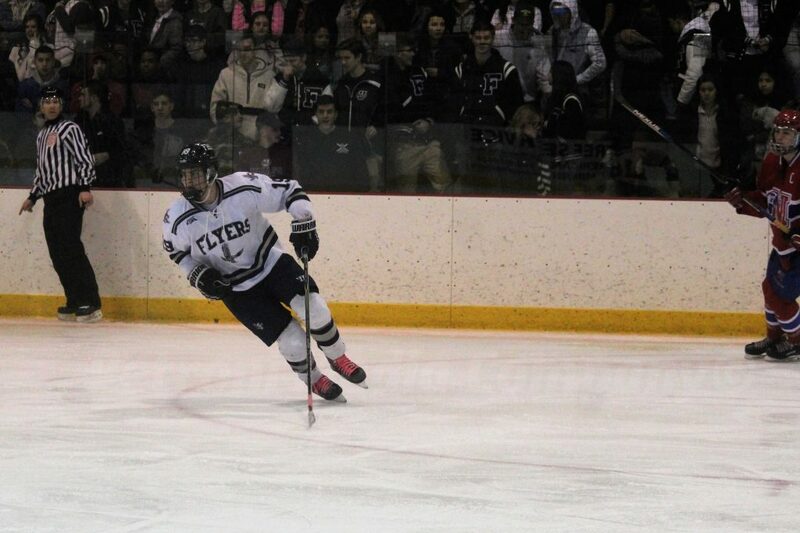 Puck is scheduled to drop at 7:40 p.m.